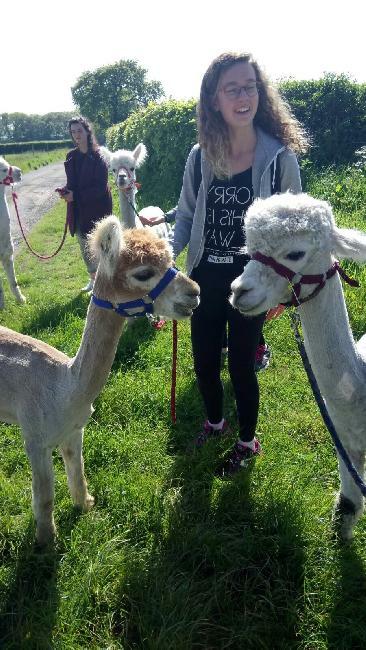 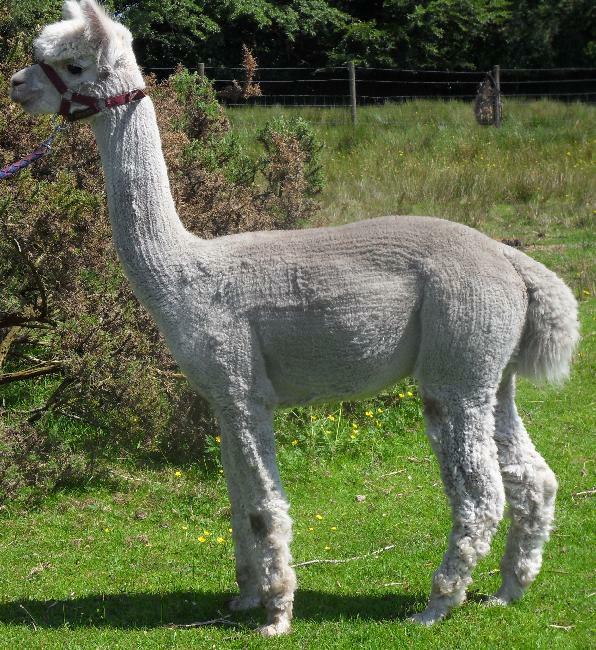 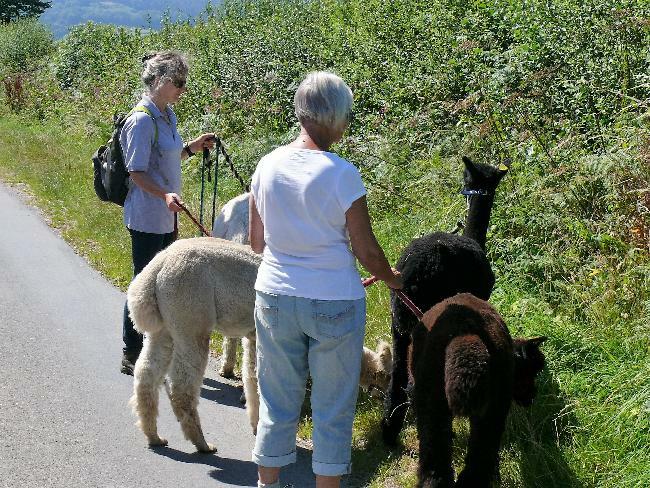 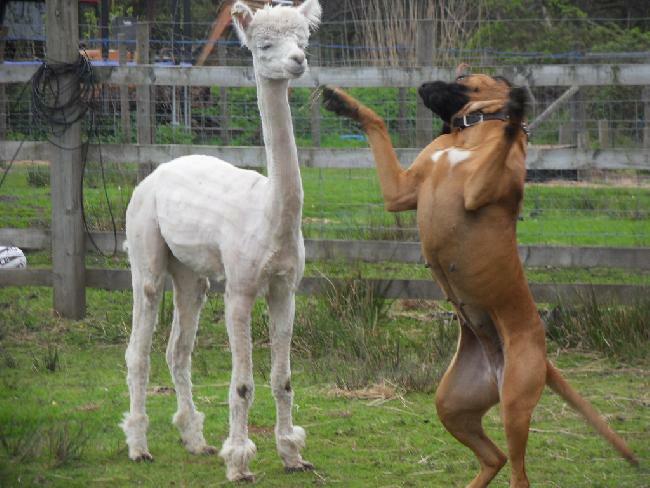 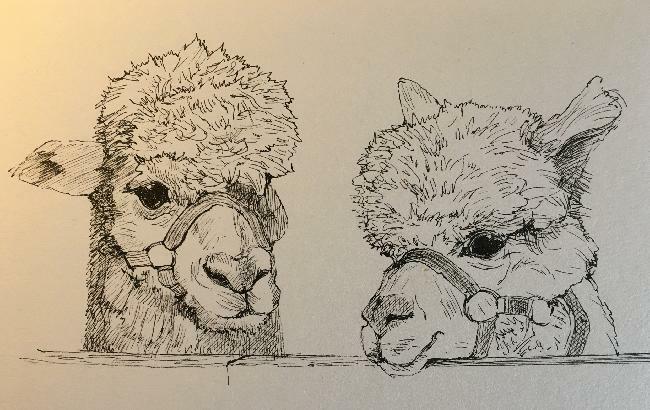 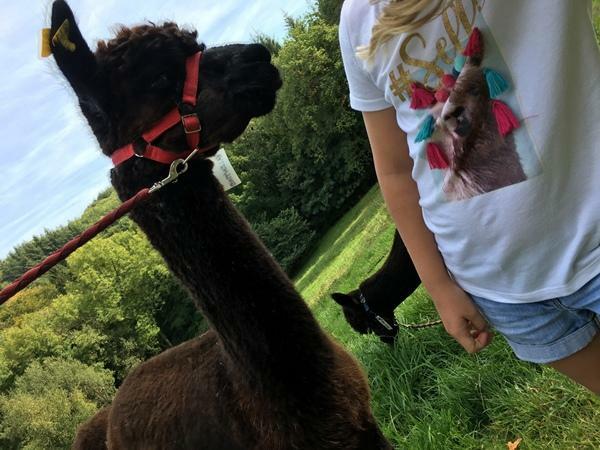 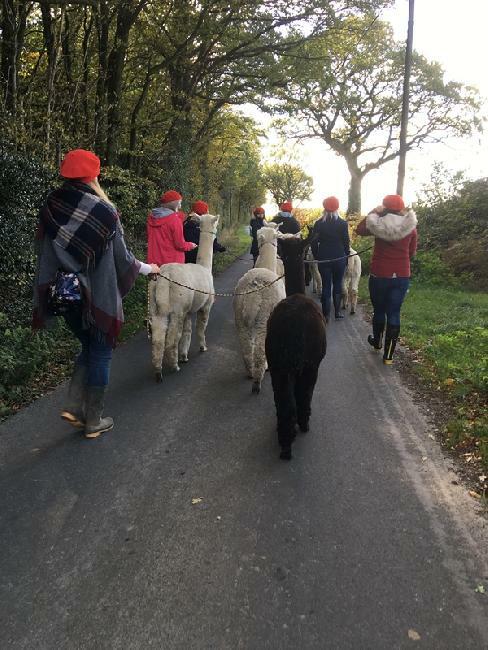 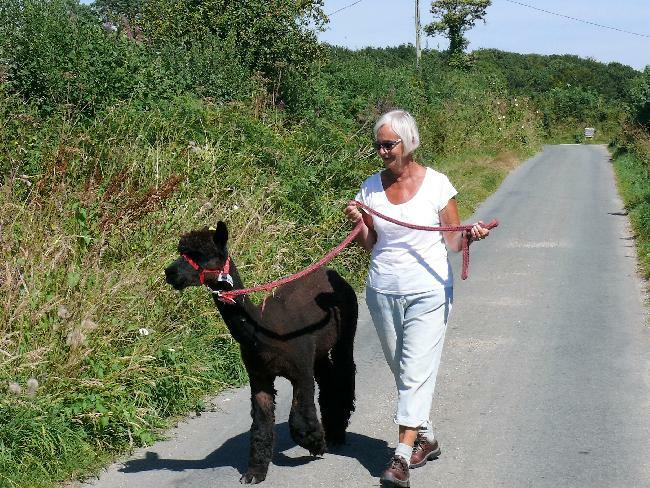 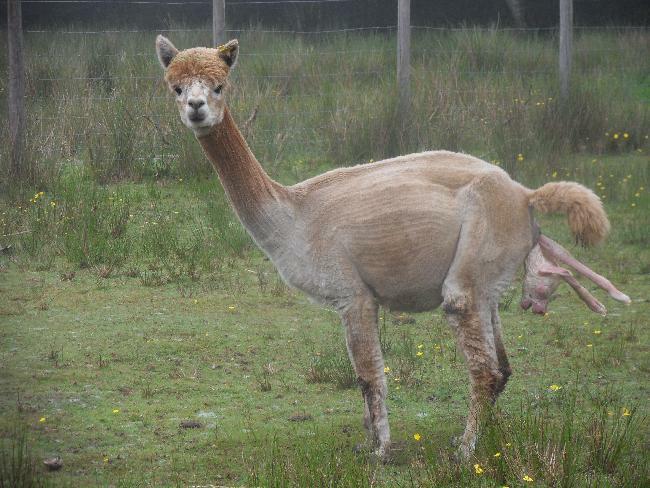 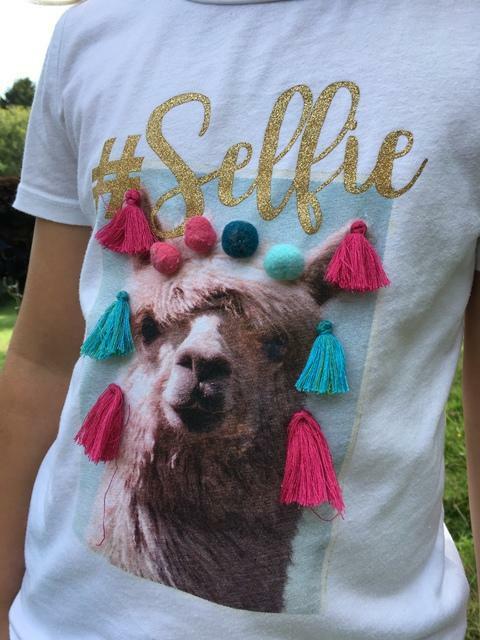 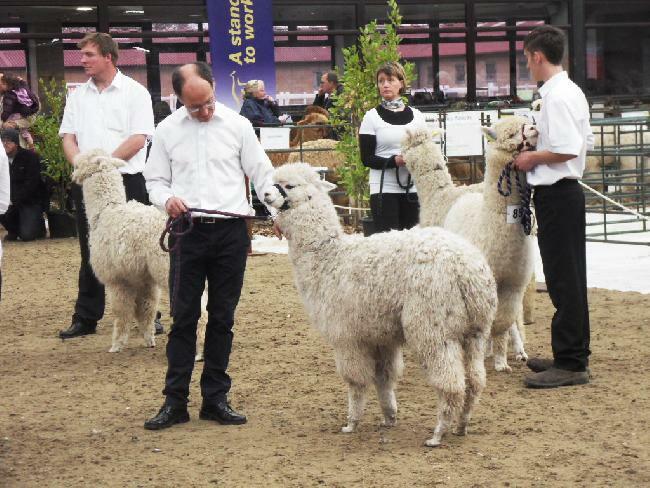 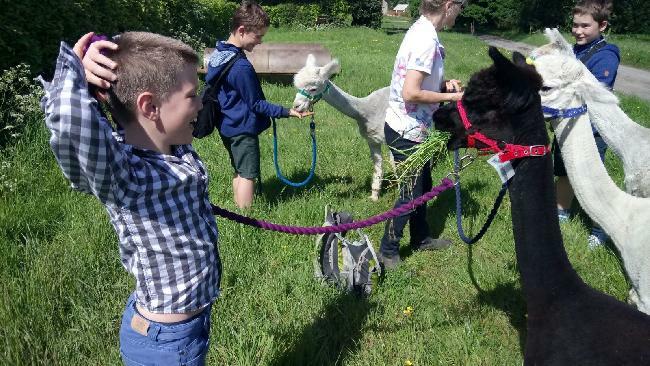 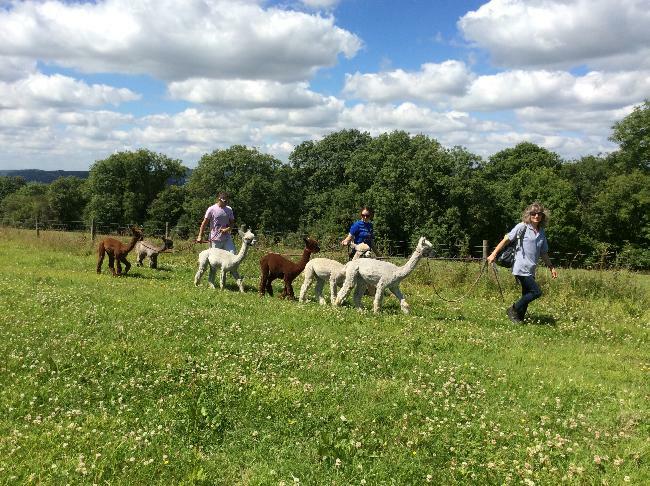 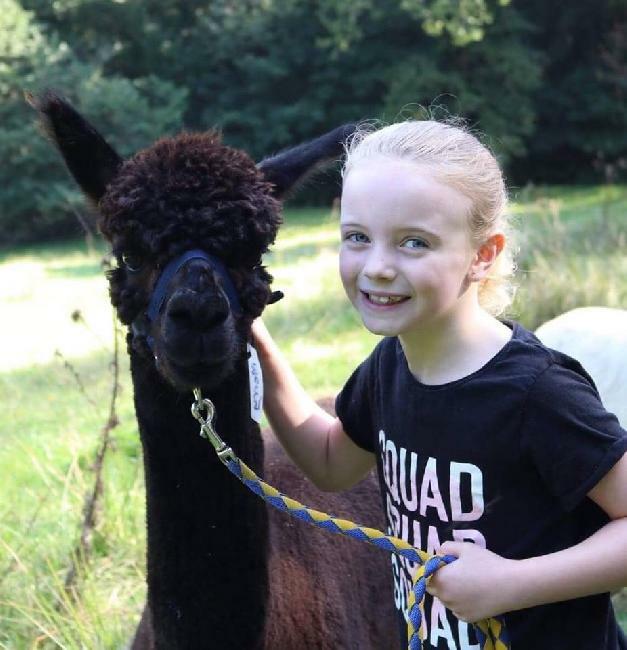 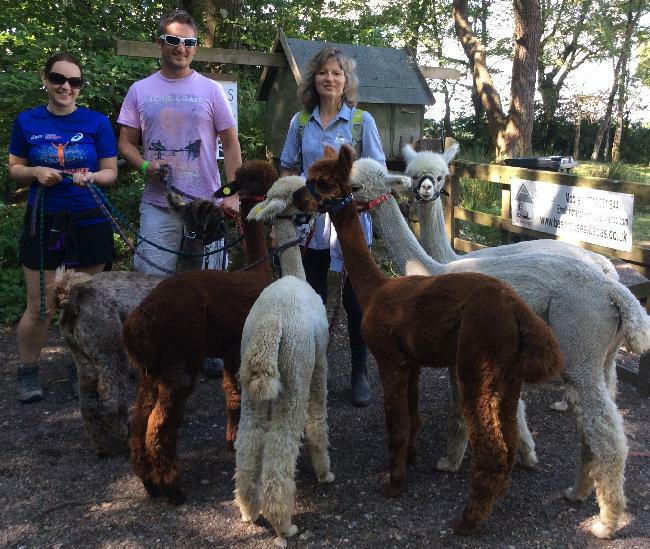 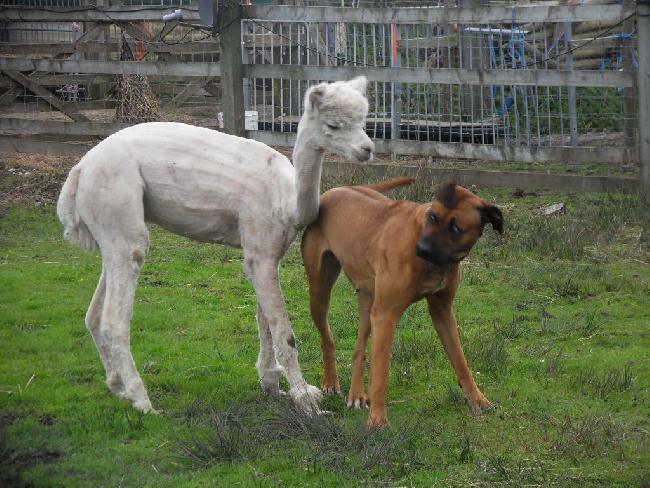 A designer T shirt - an essential for alpaca trekking! 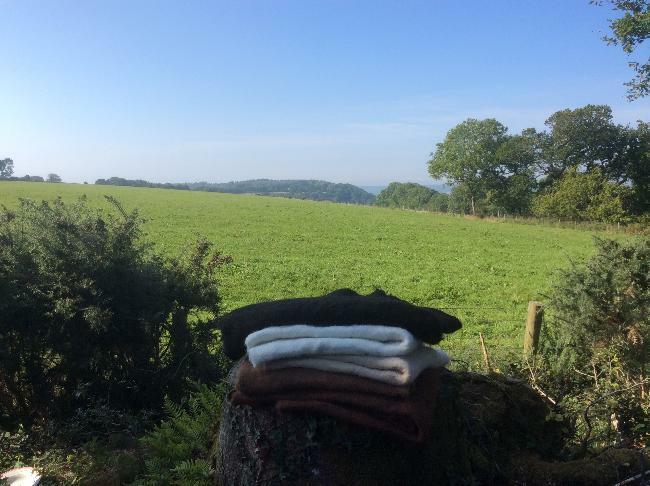 All kitted out for trekking! 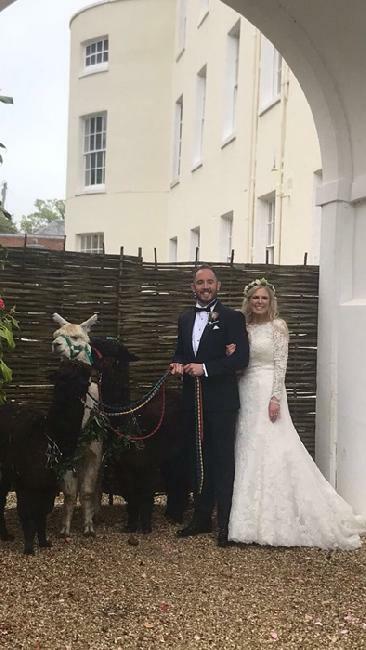 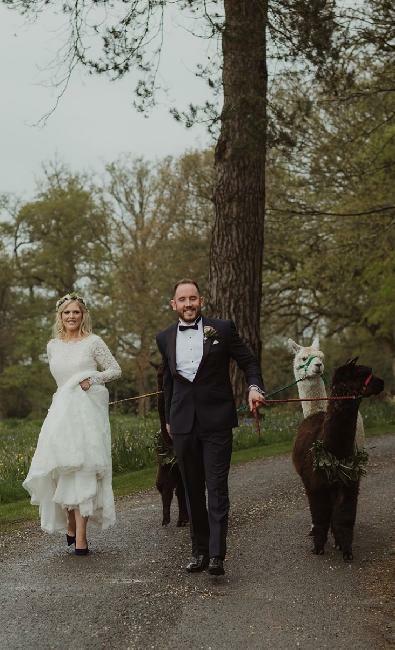 Mr and Mrs Every-Clayton photographed by Maureen Dupreez. 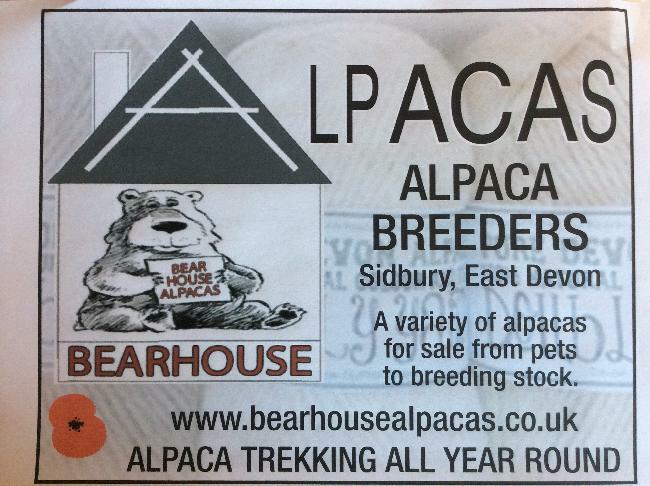 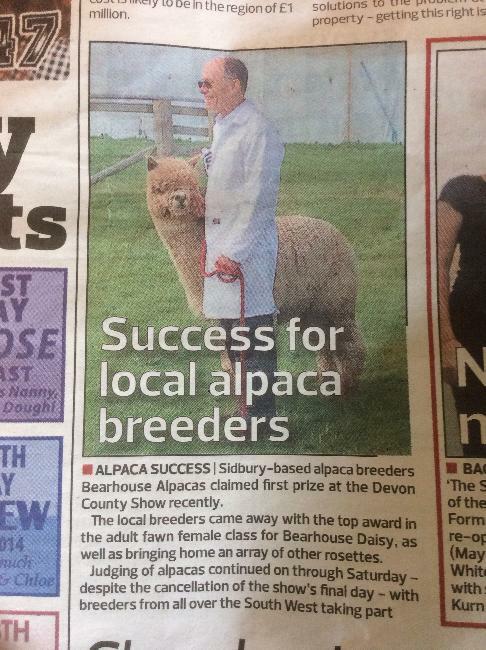 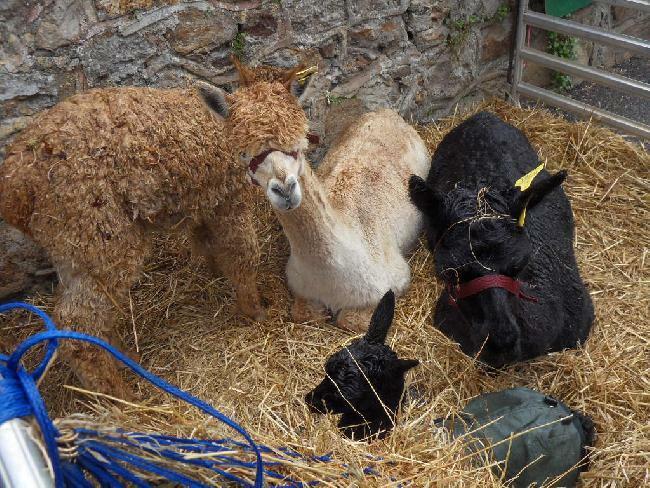 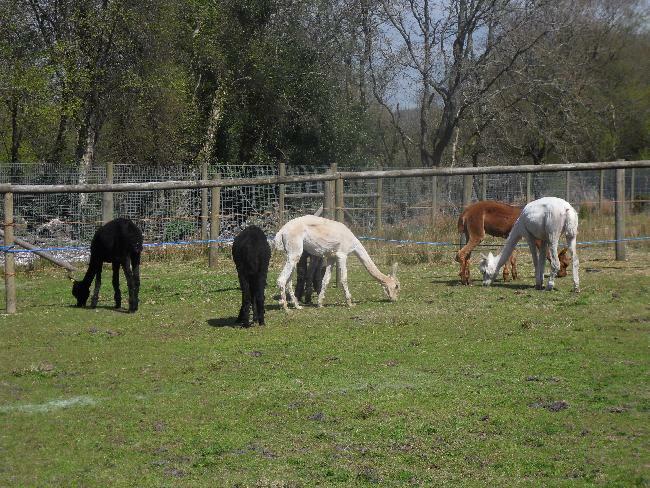 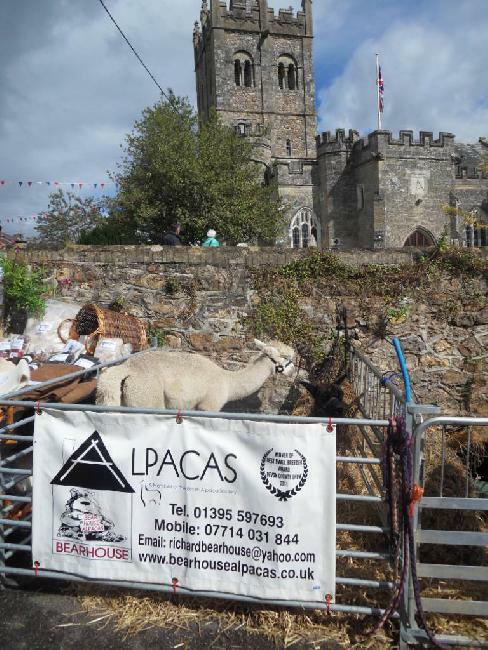 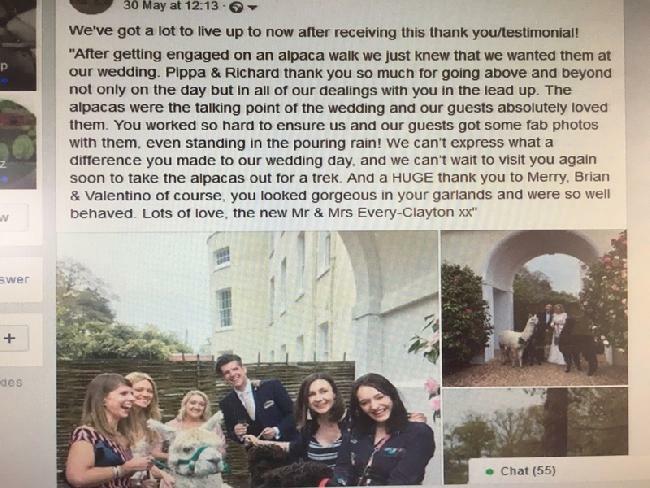 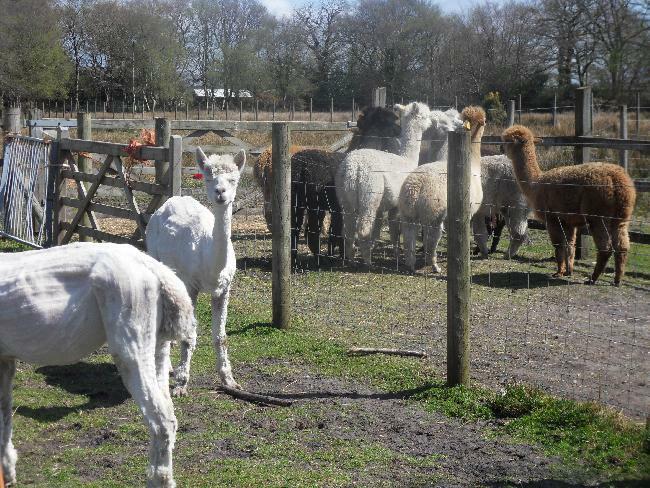 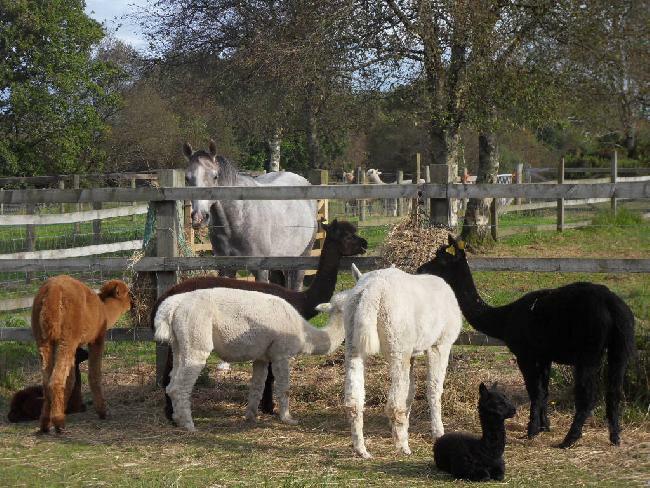 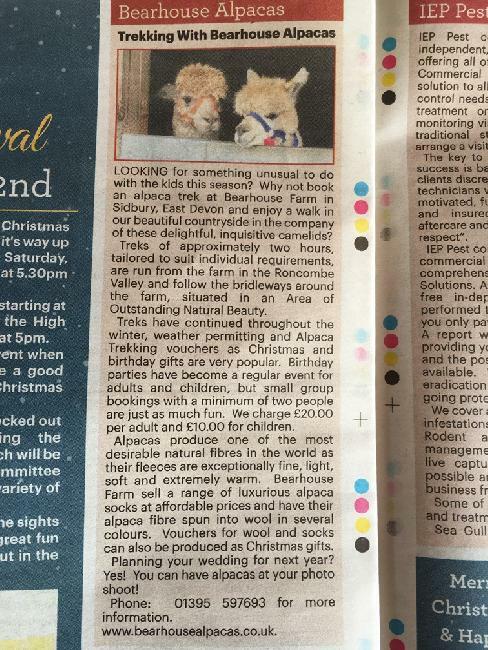 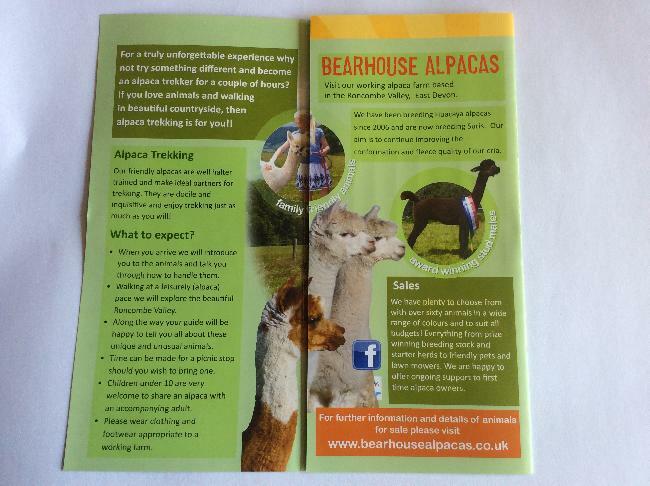 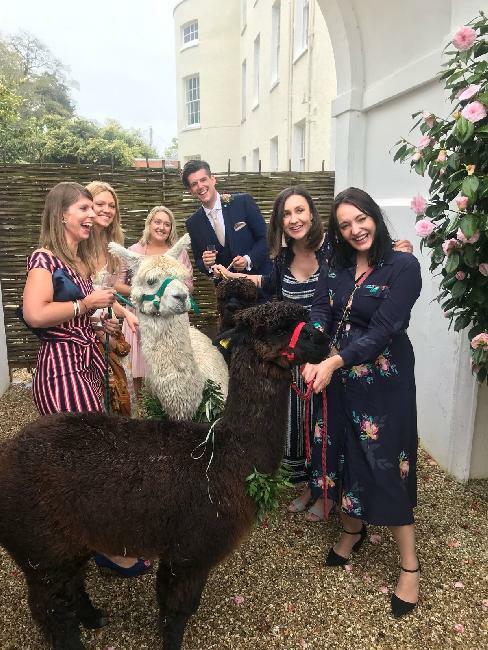 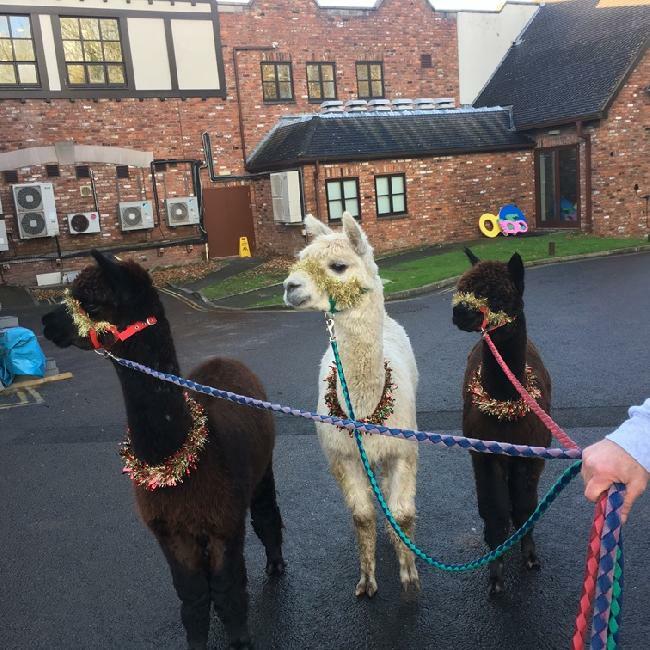 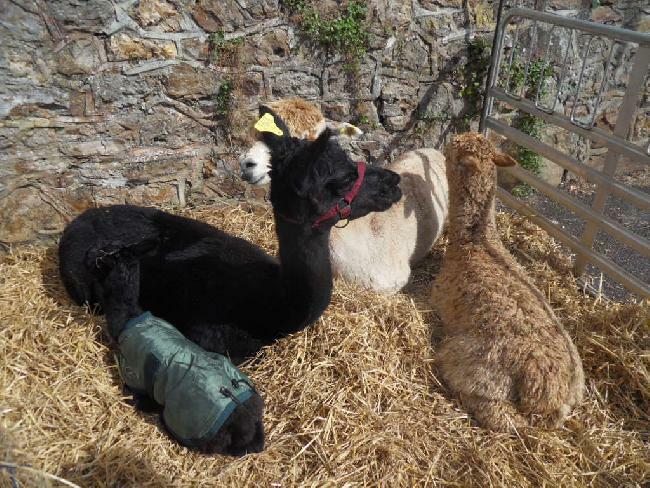 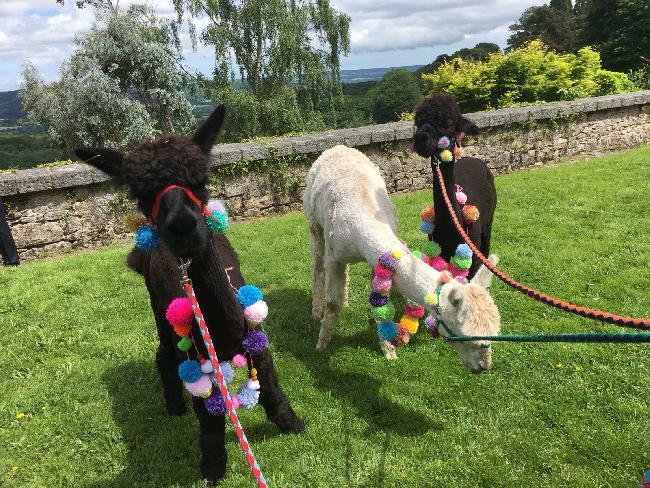 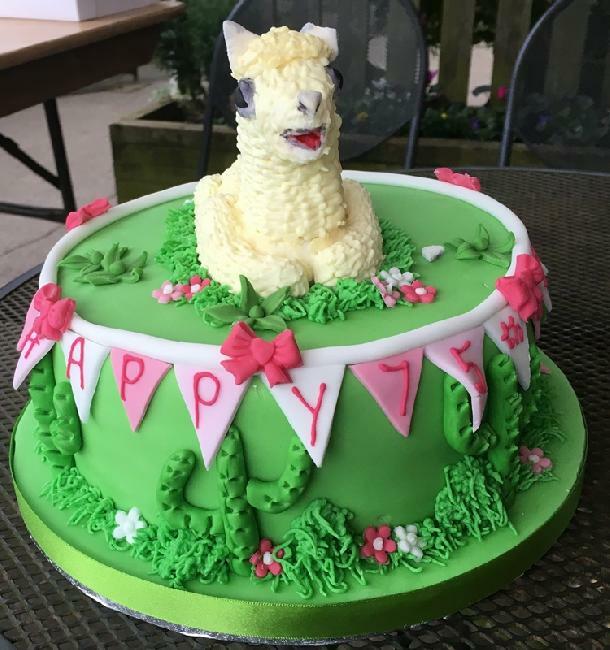 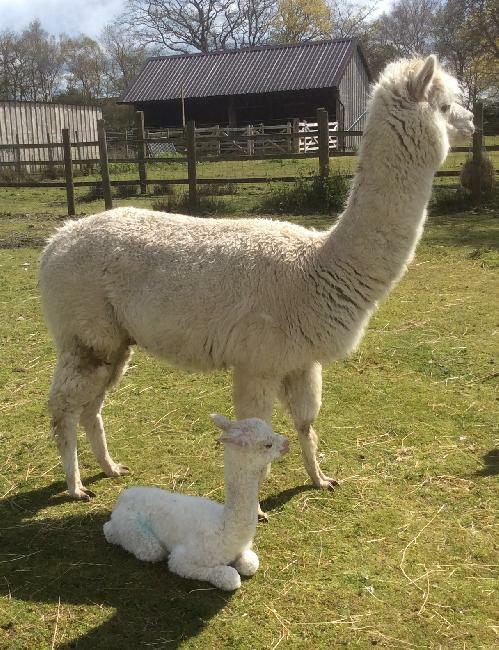 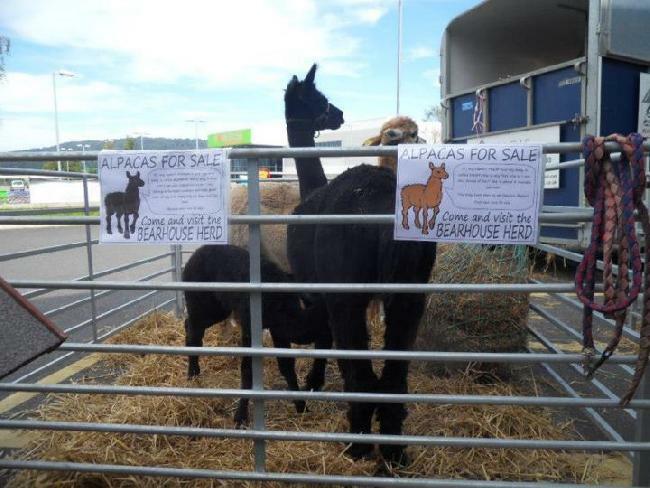 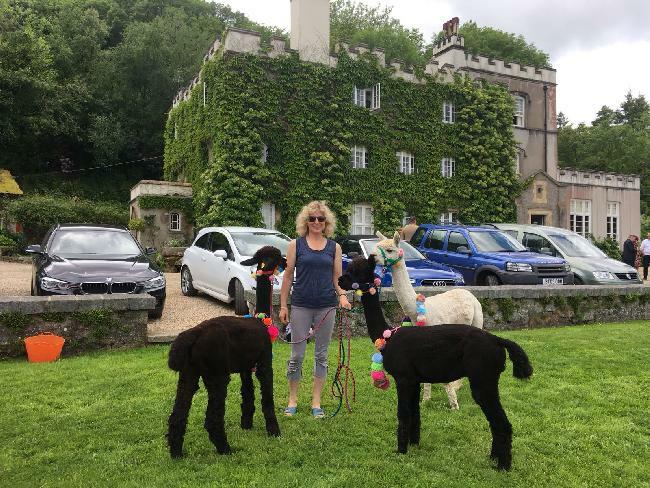 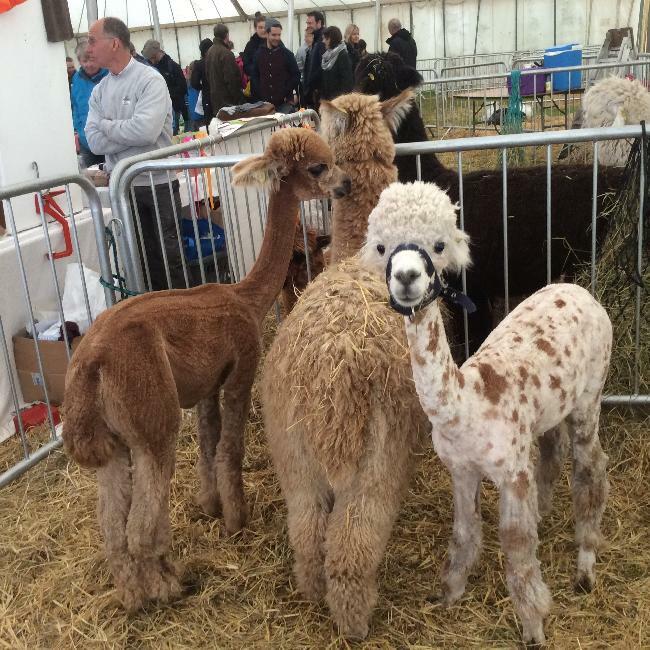 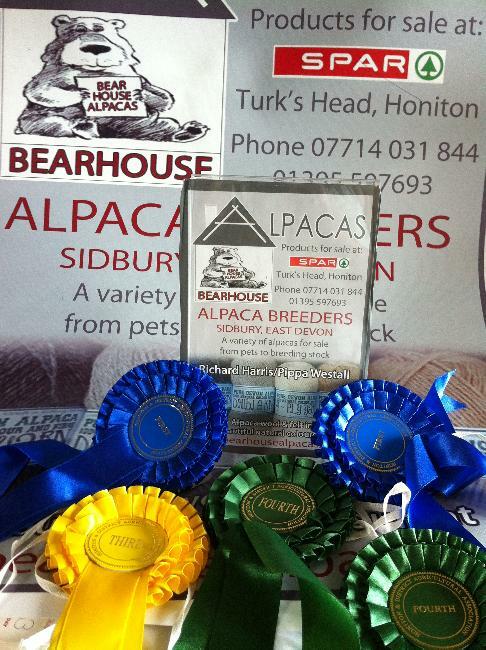 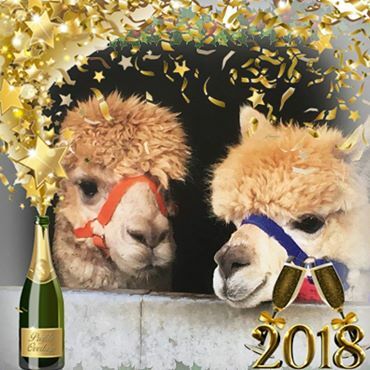 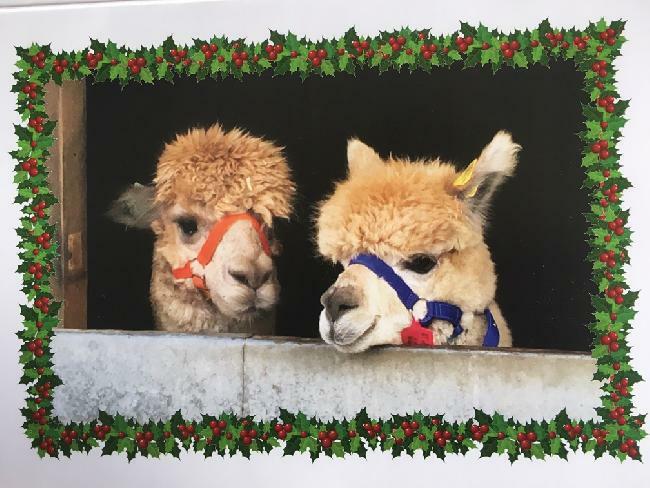 Alpacas courtesy of Bearhouse Alpacas! 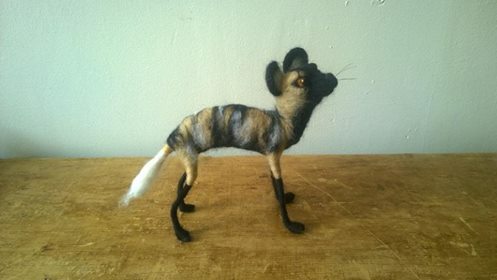 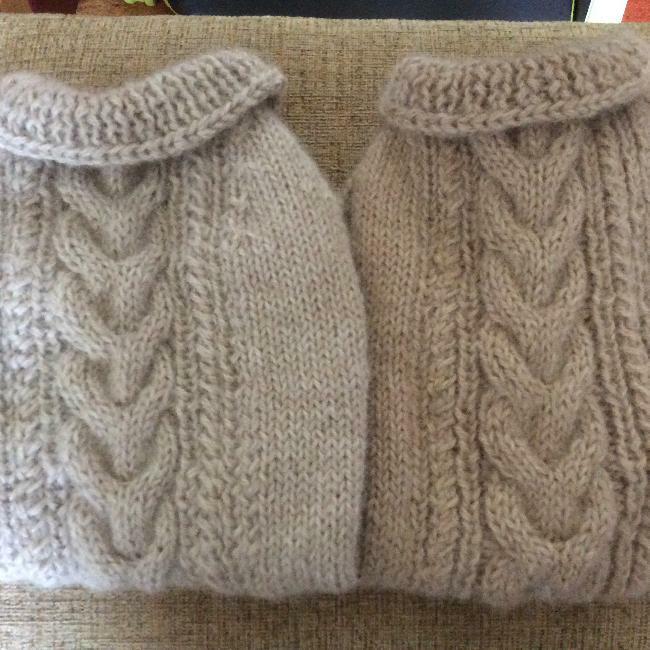 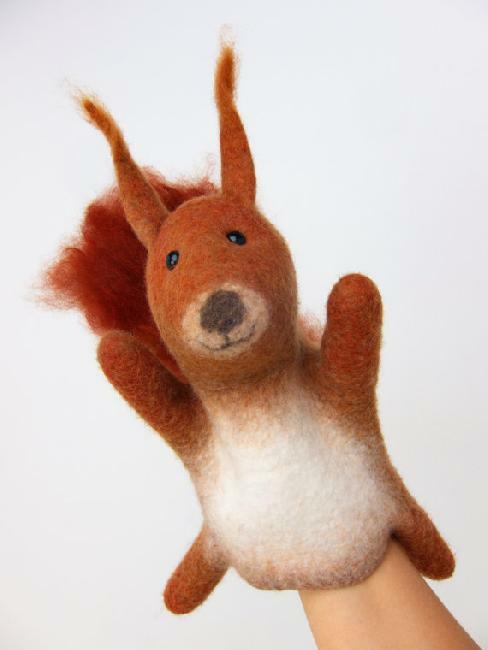 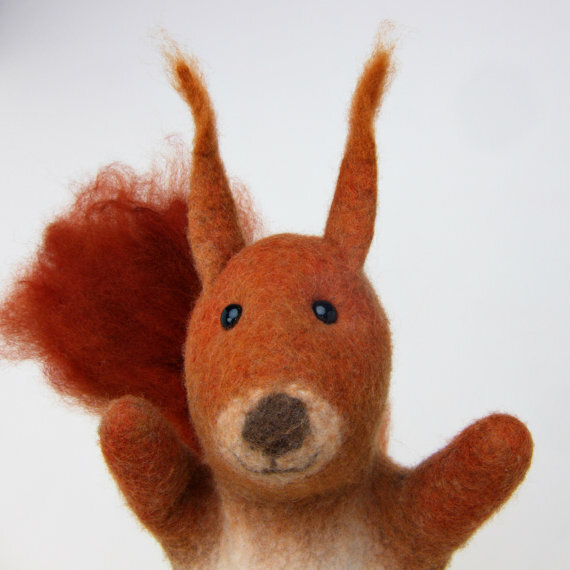 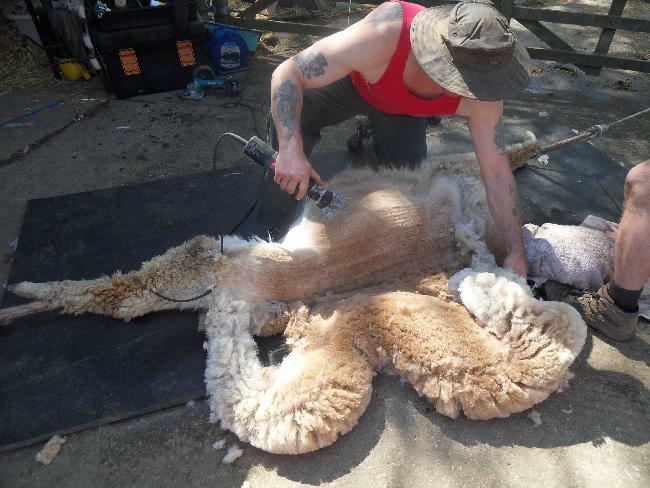 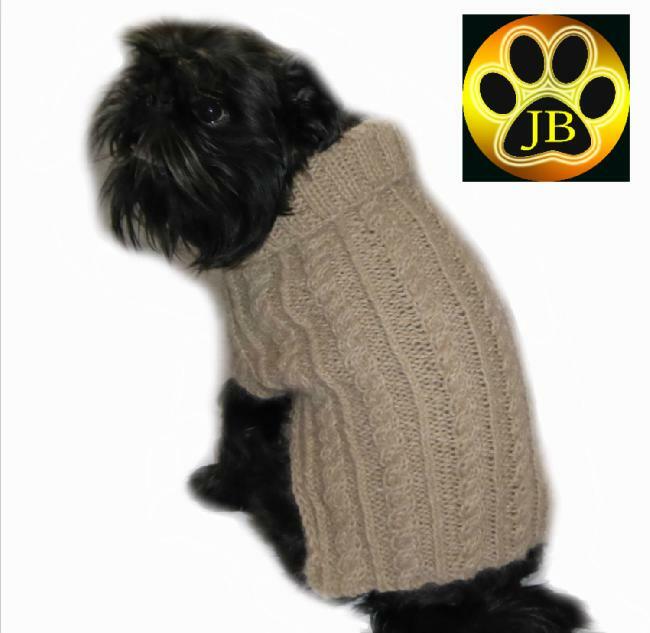 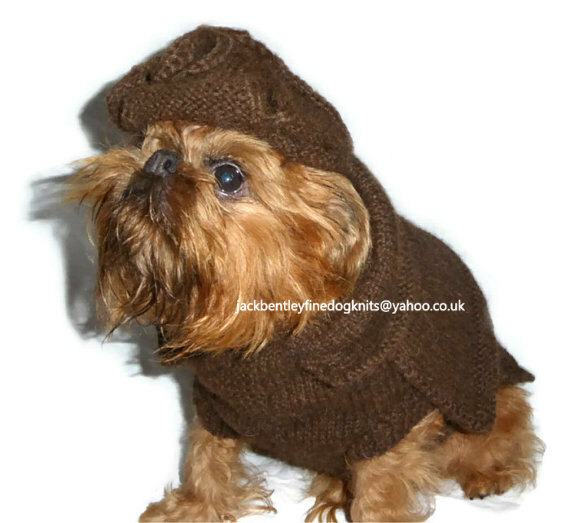 Luxury Alpaca Dog Jacket by Jack Bentley Knitwear (Etsy Shop) using Bearhouse Alpaca Wool! 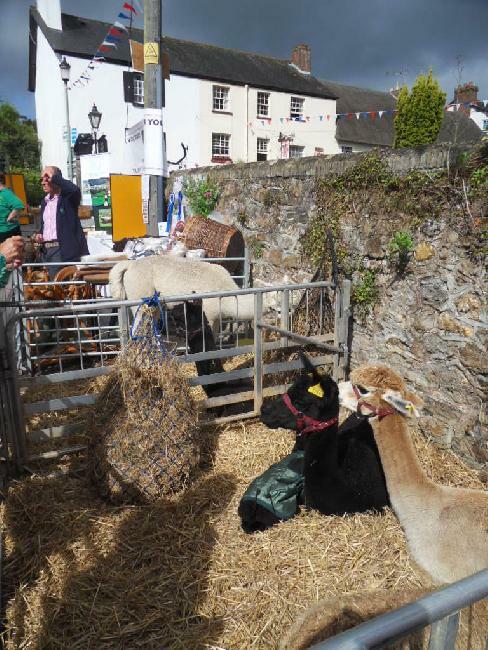 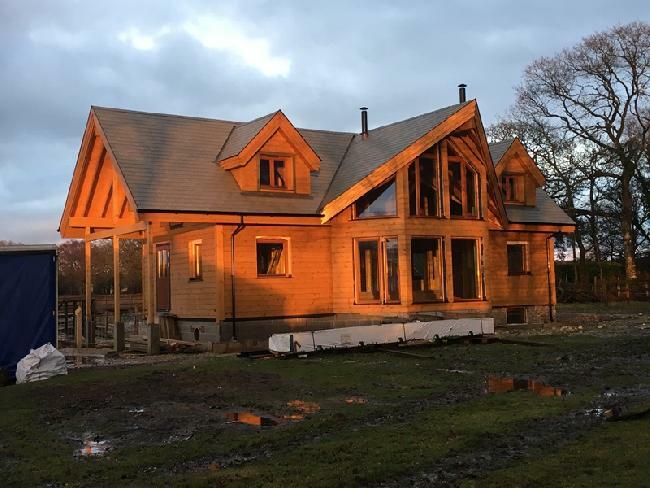 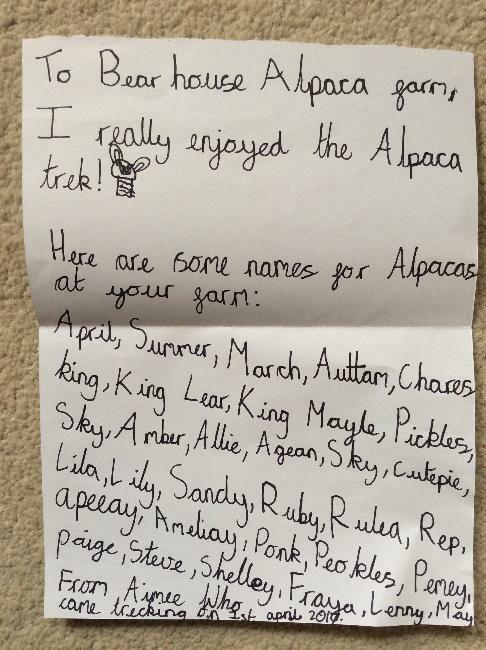 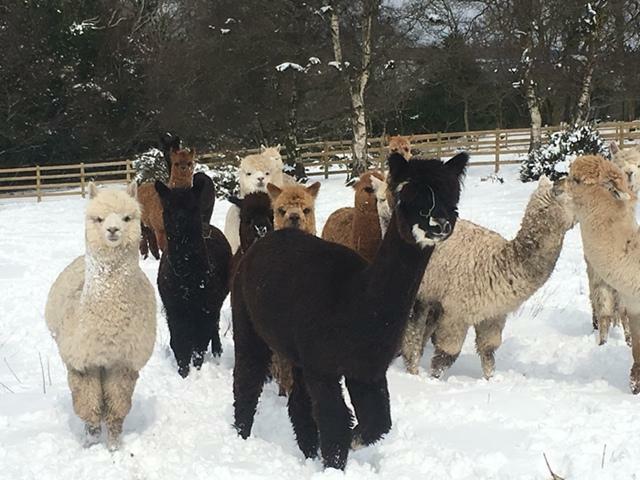 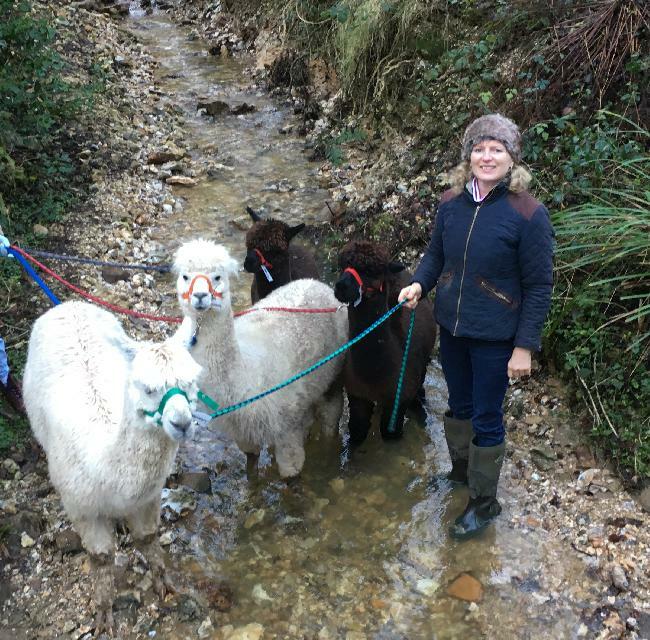 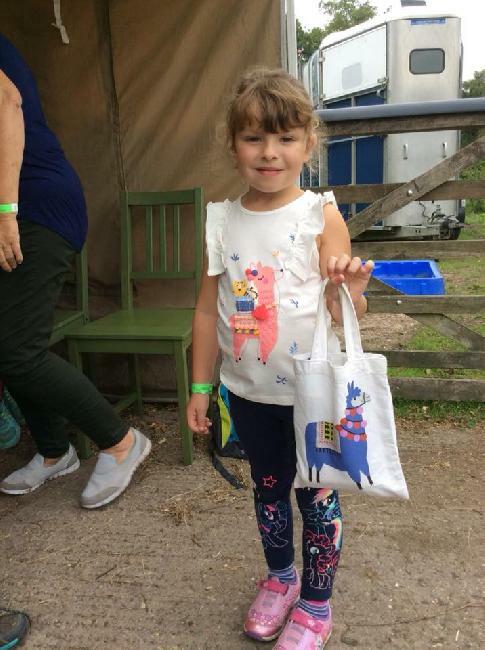 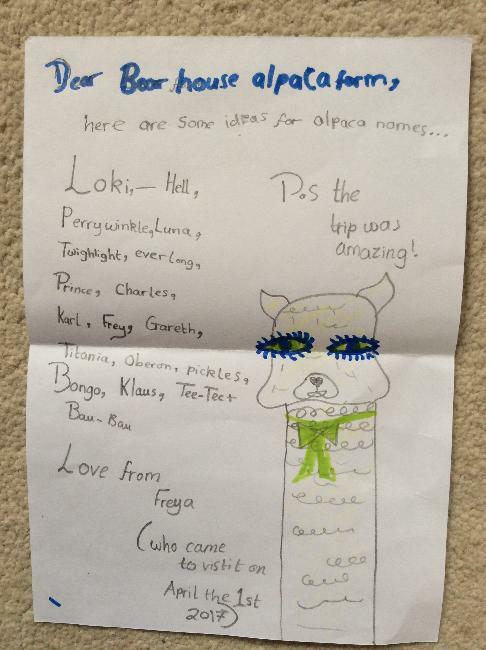 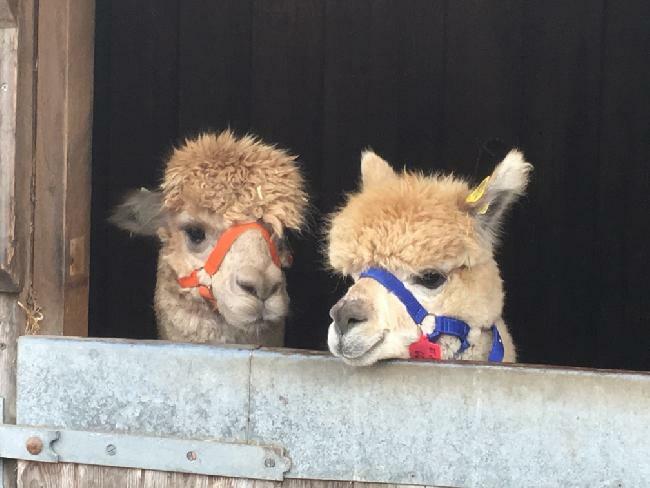 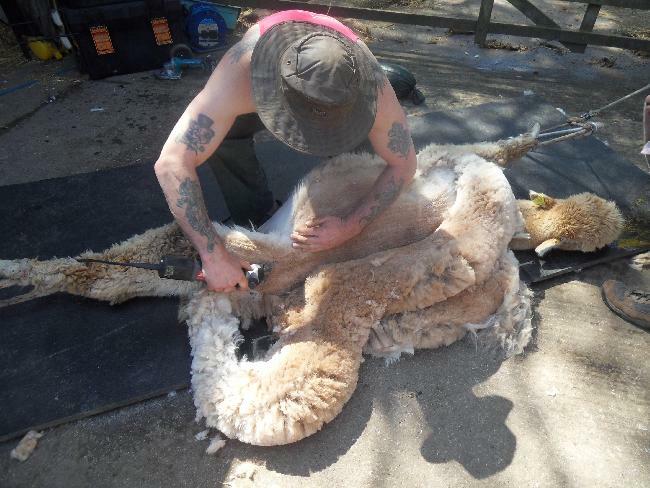 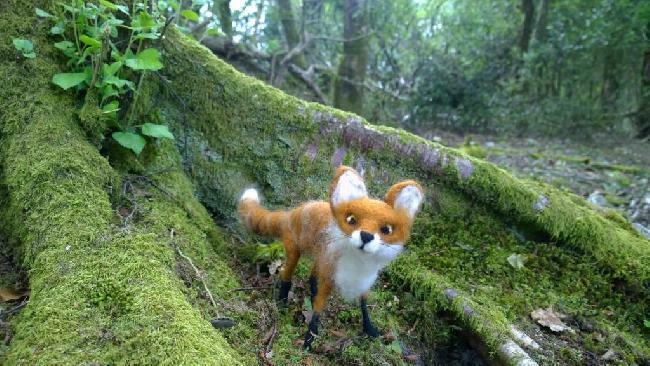 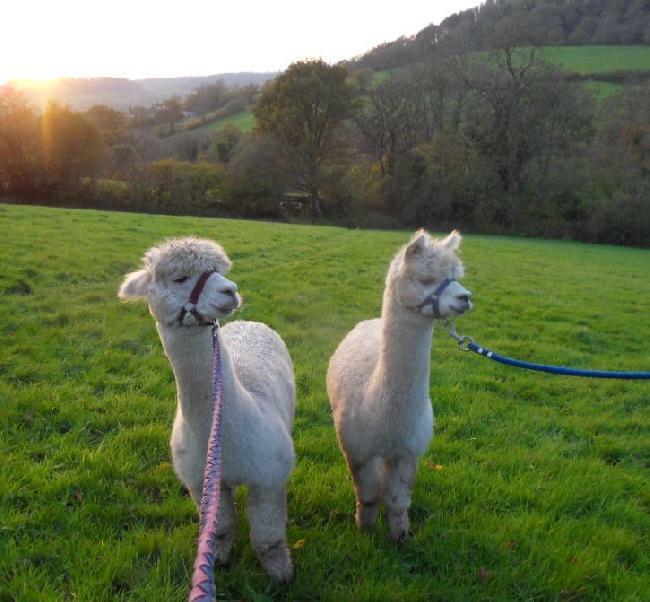 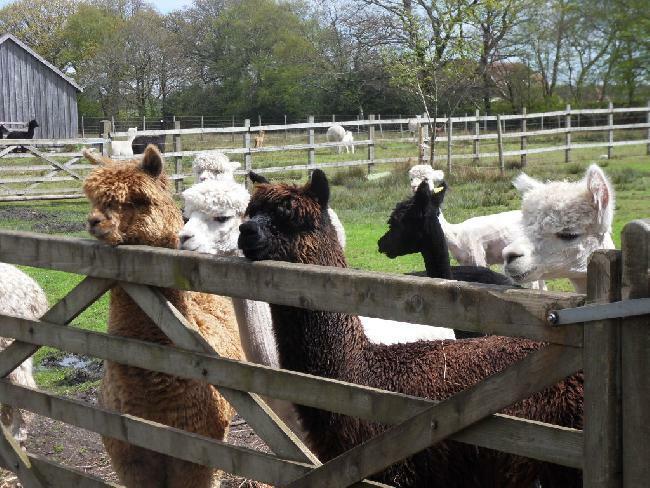 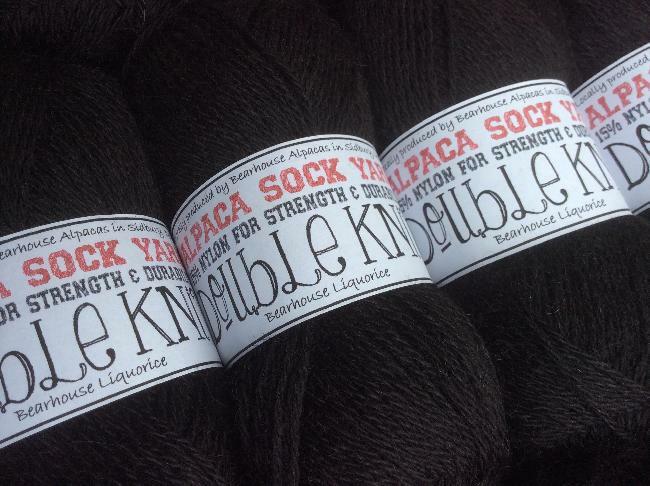 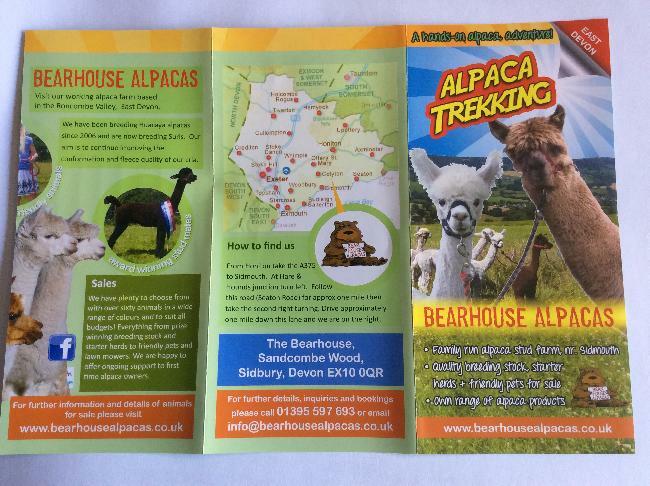 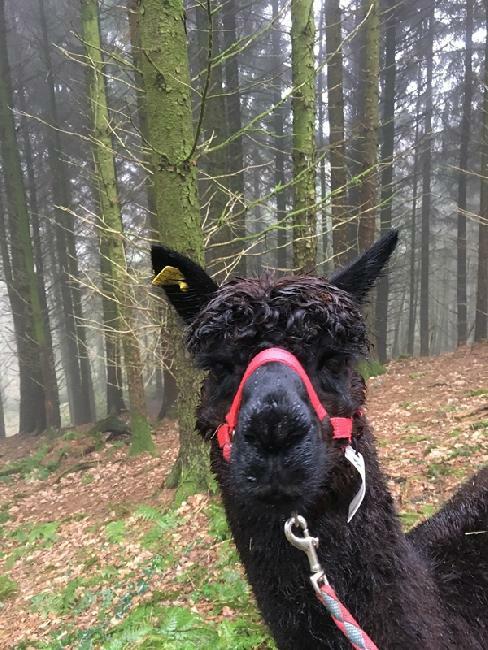 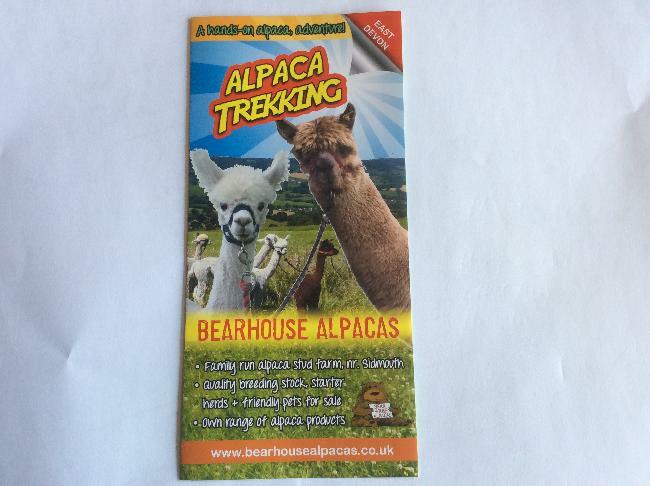 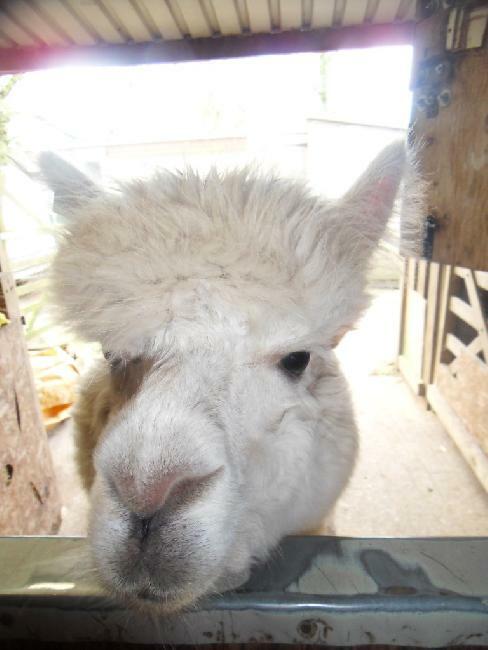 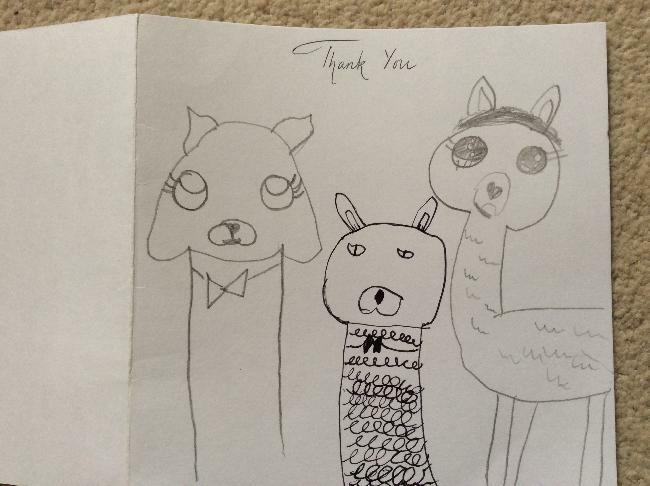 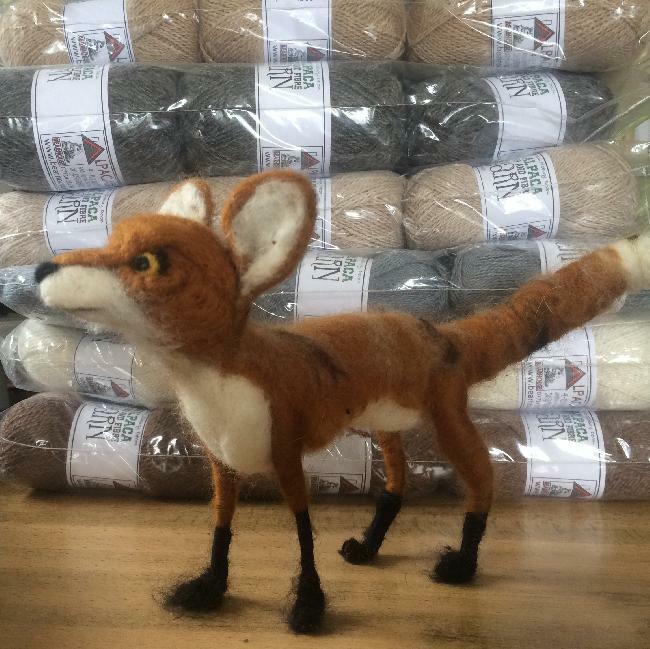 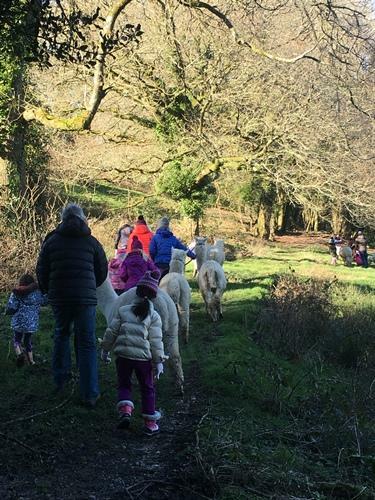 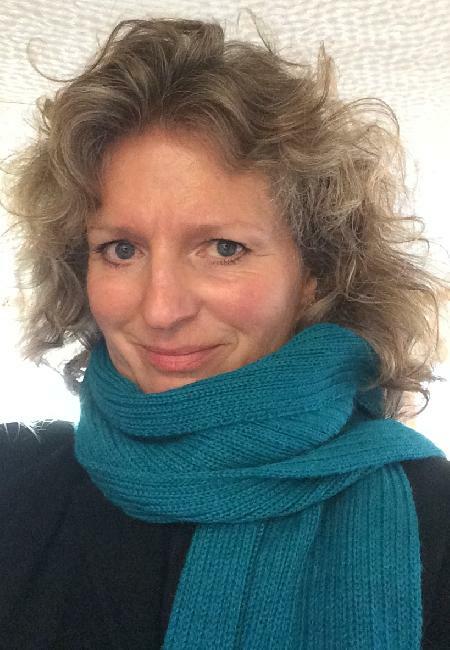 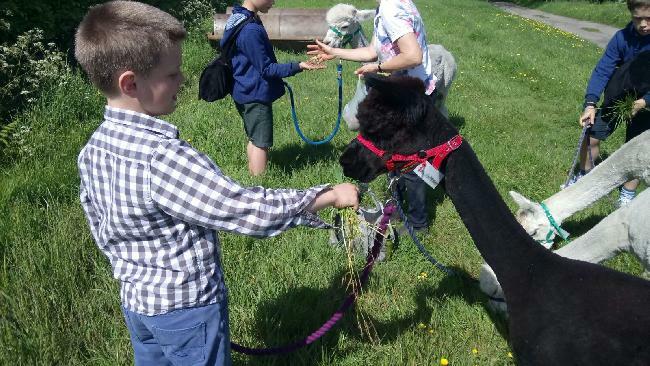 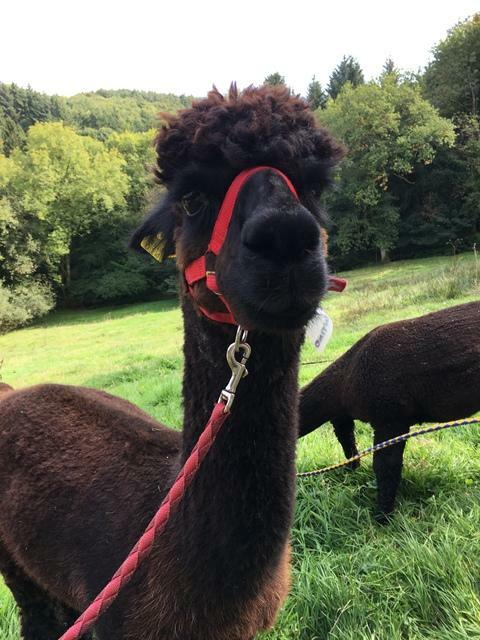 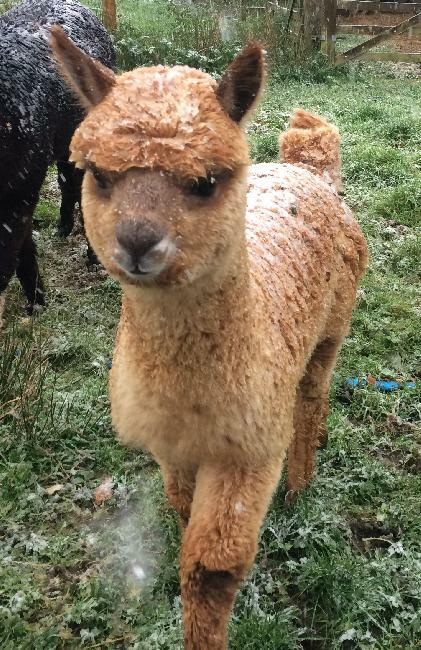 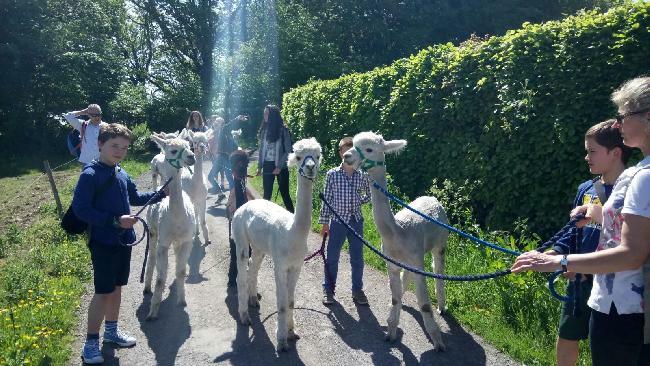 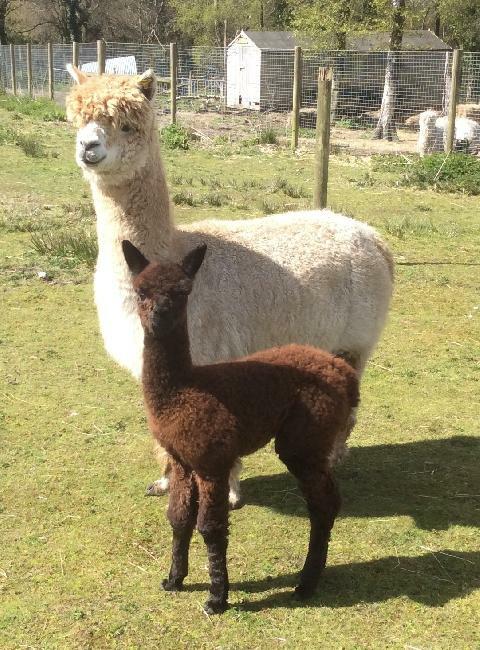 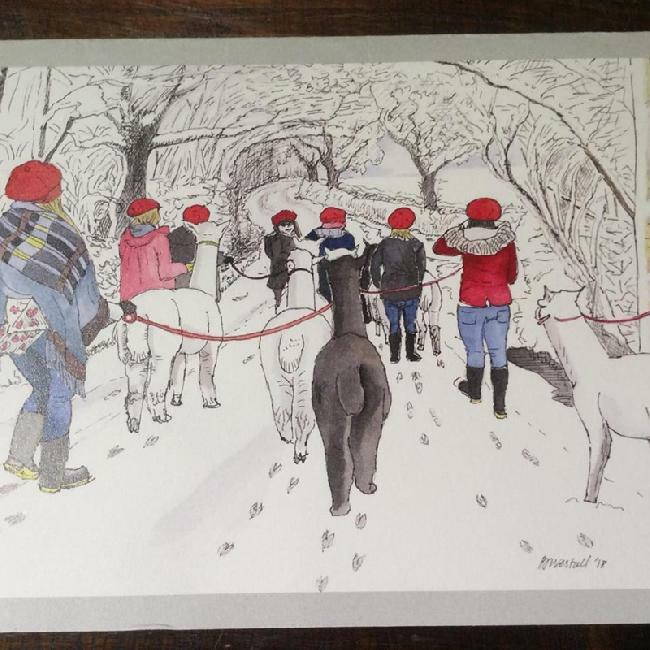 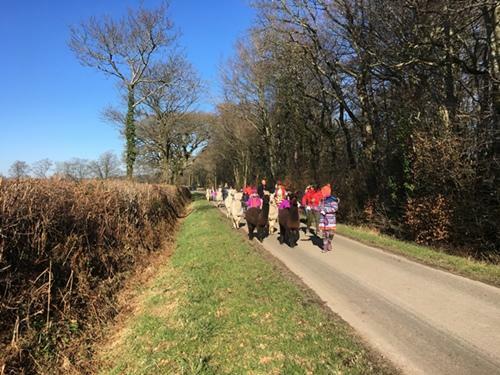 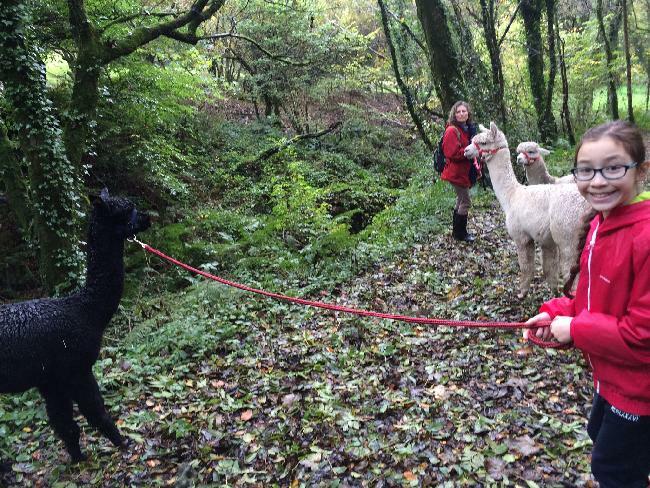 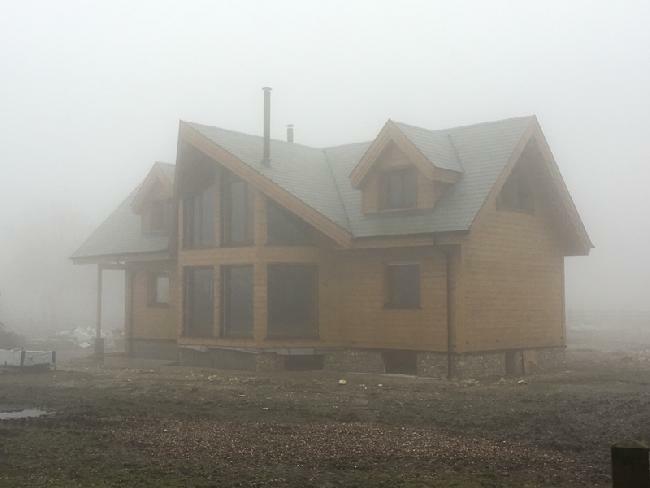 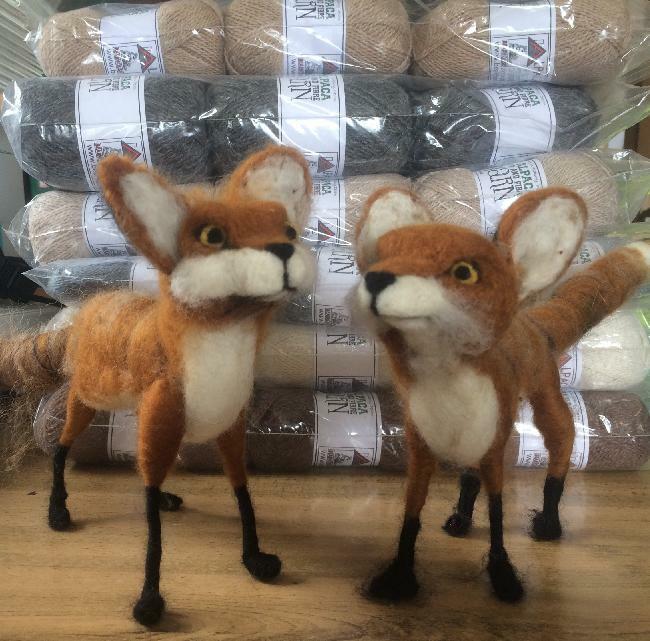 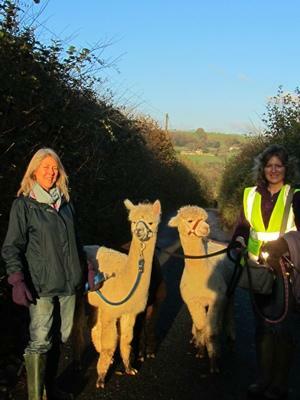 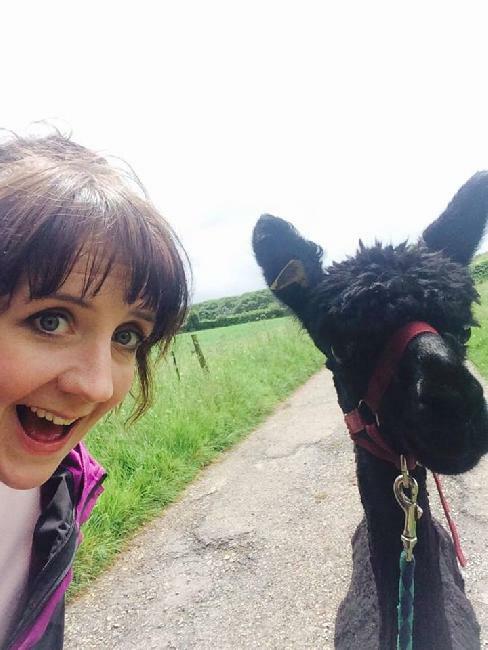 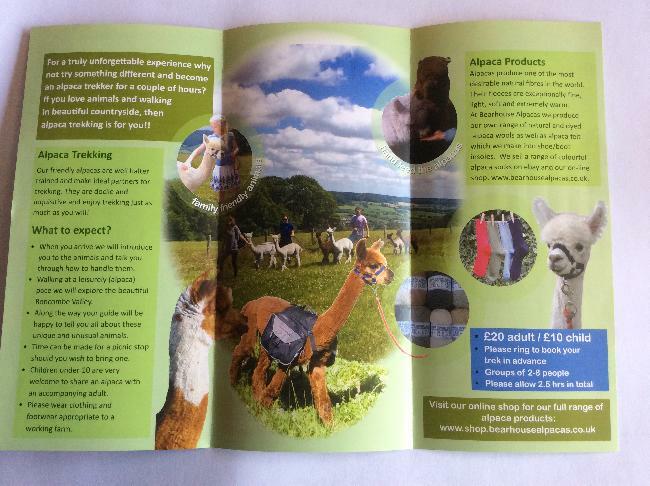 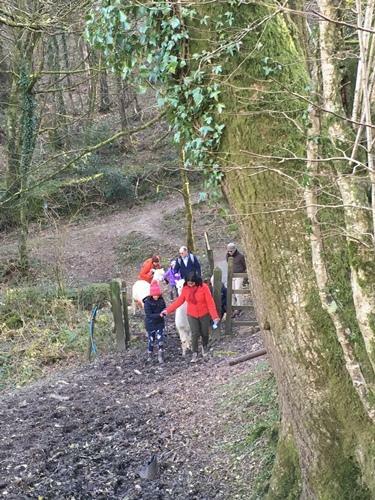 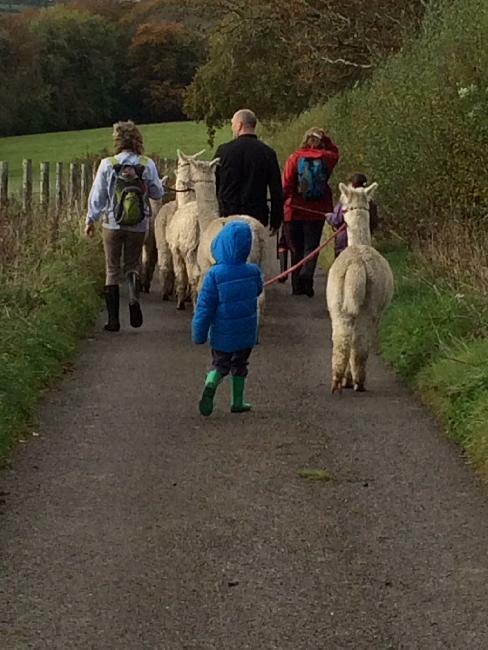 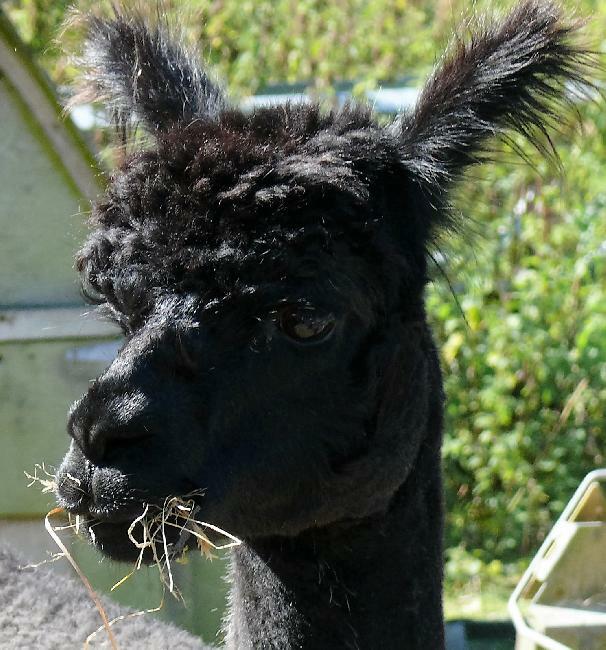 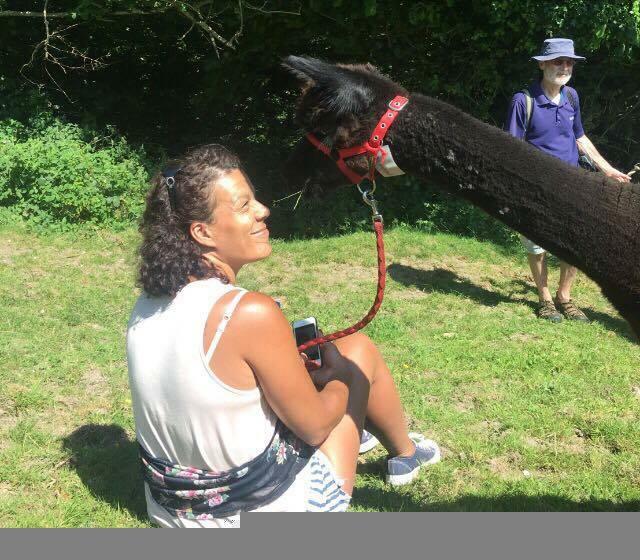 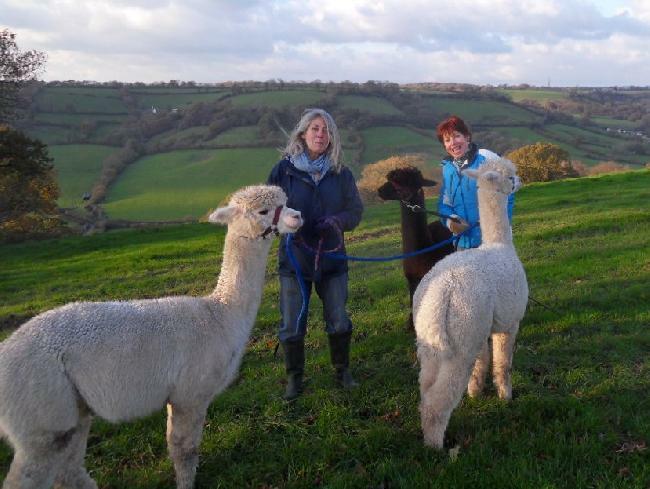 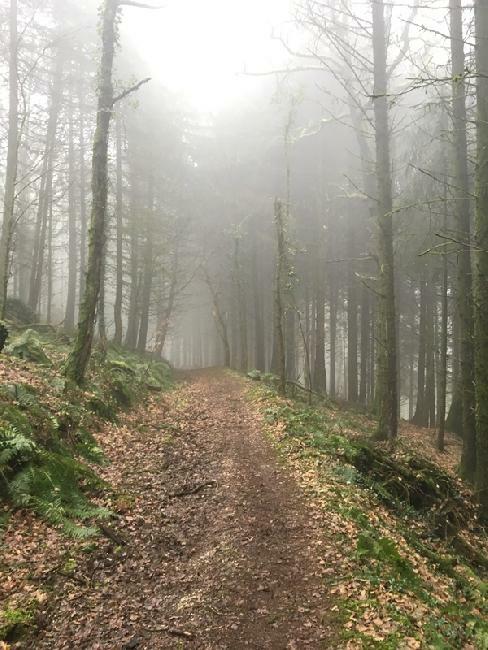 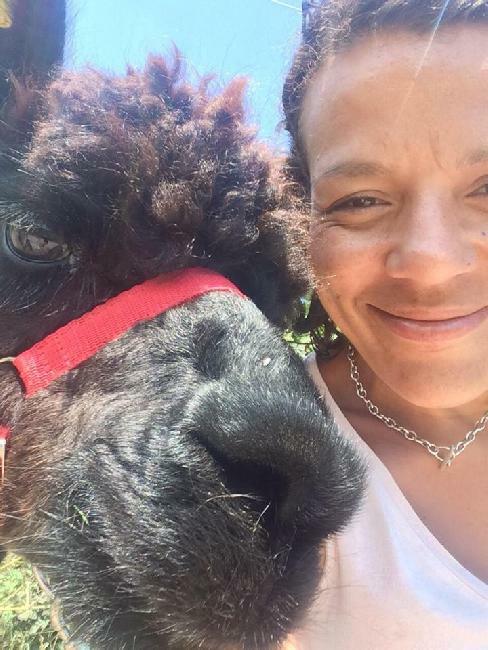 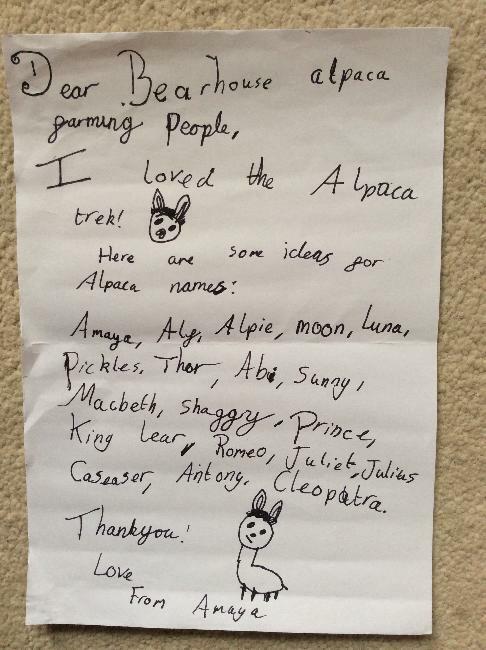 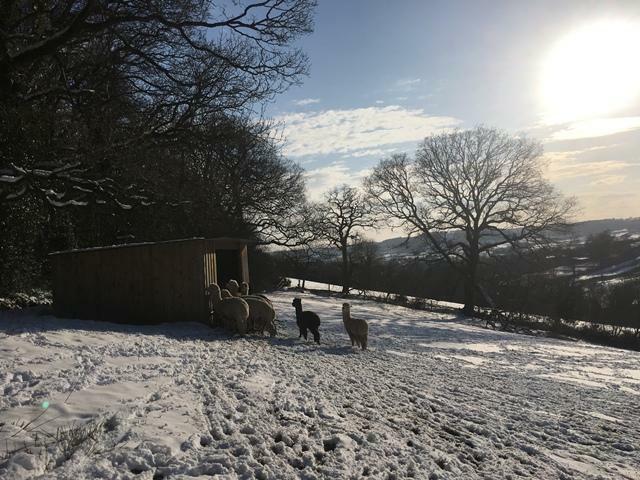 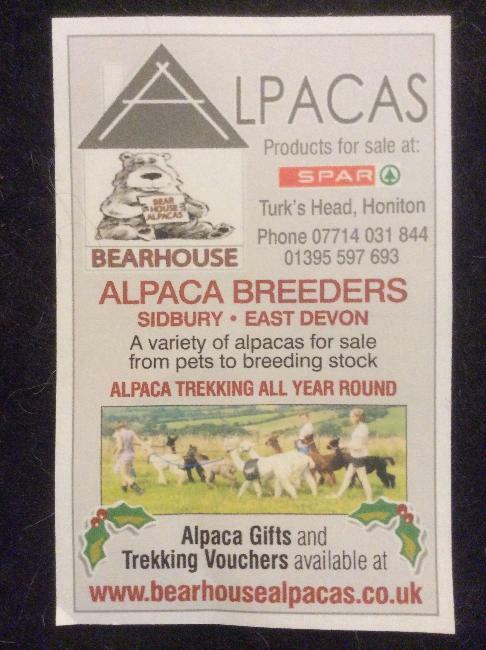 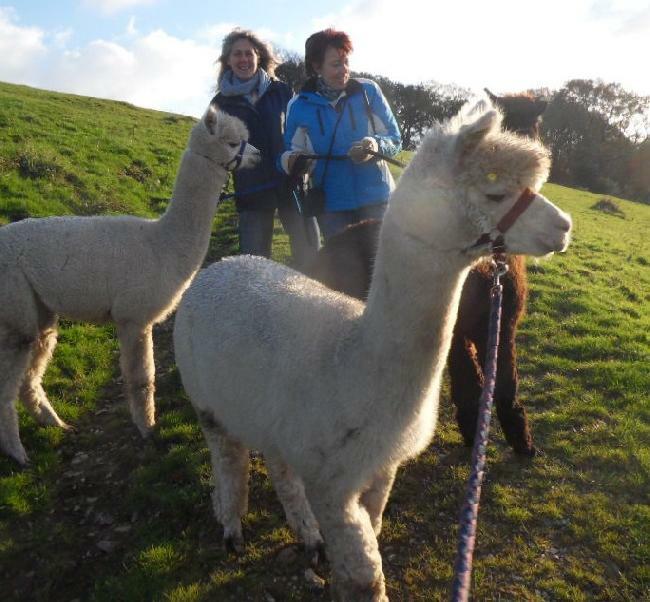 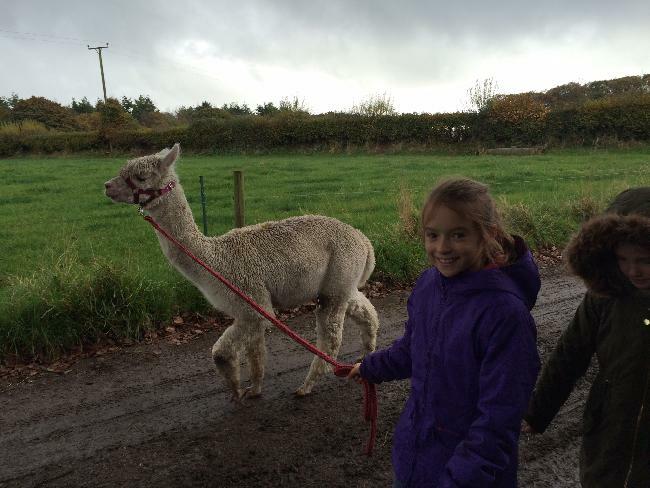 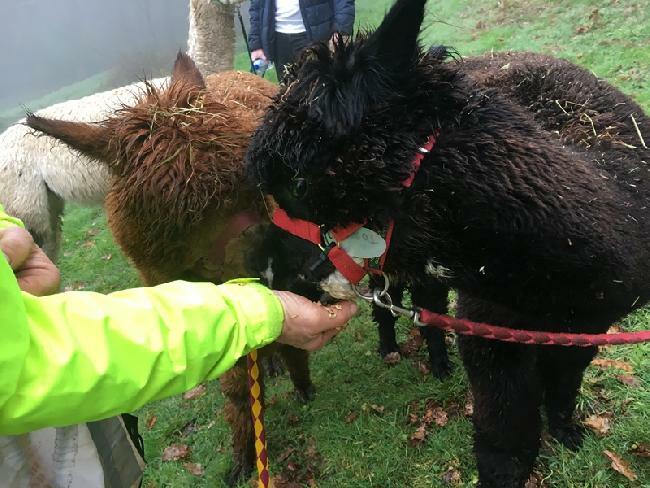 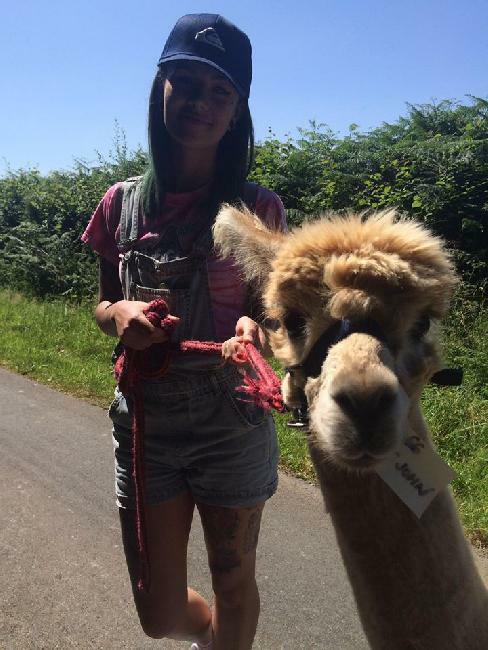 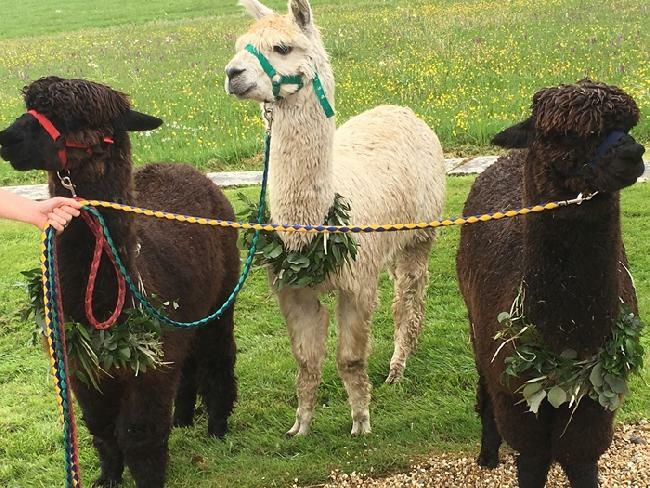 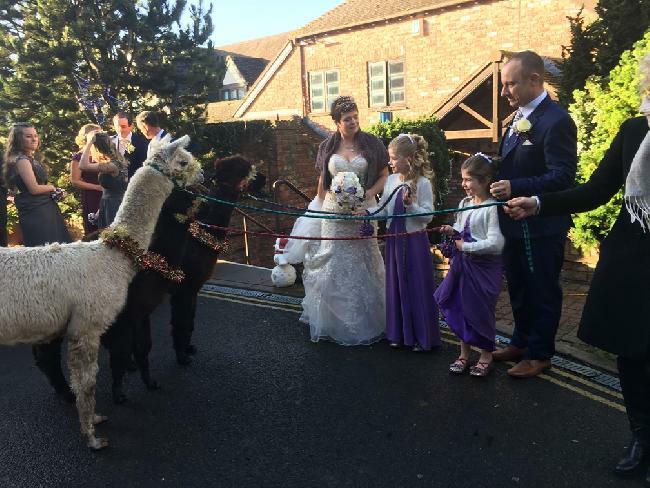 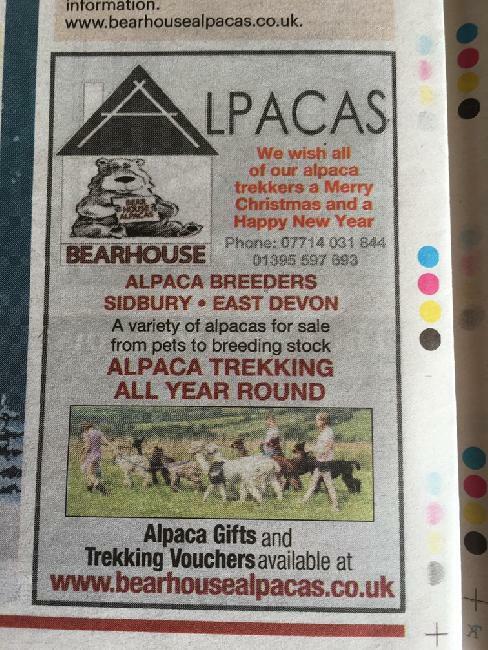 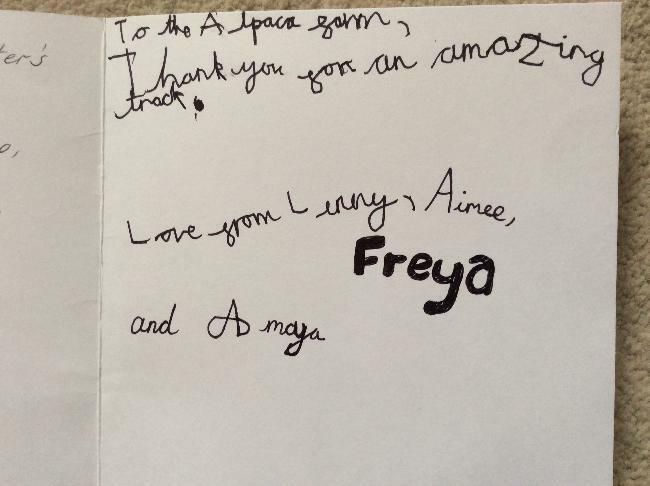 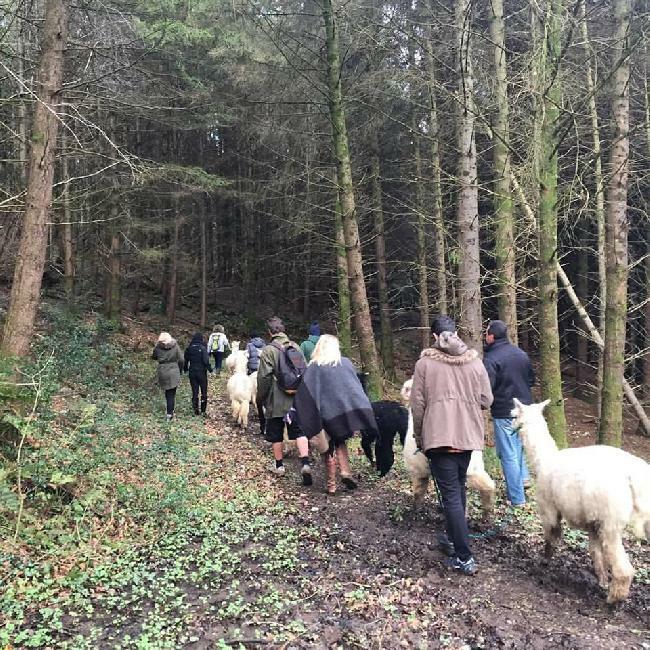 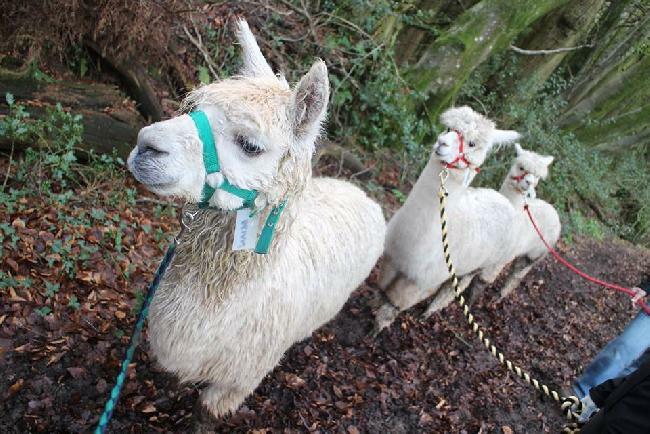 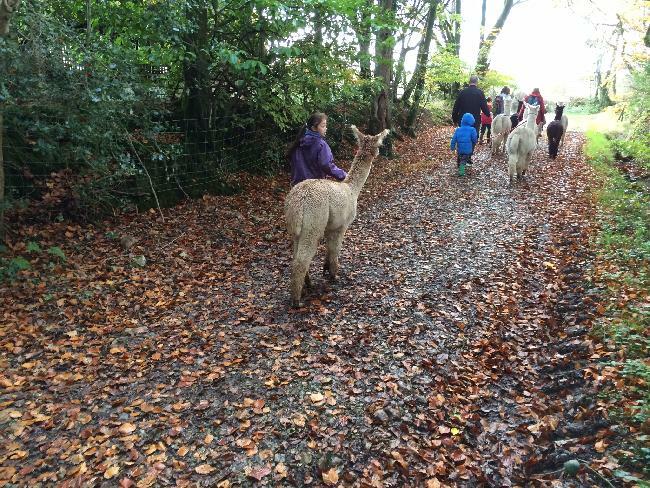 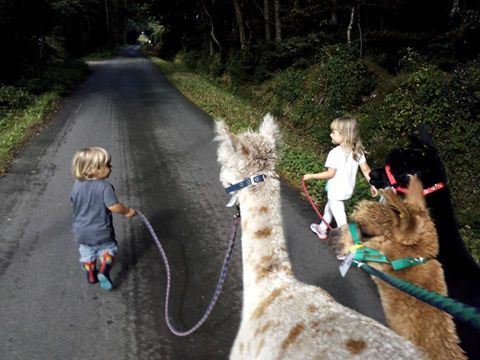 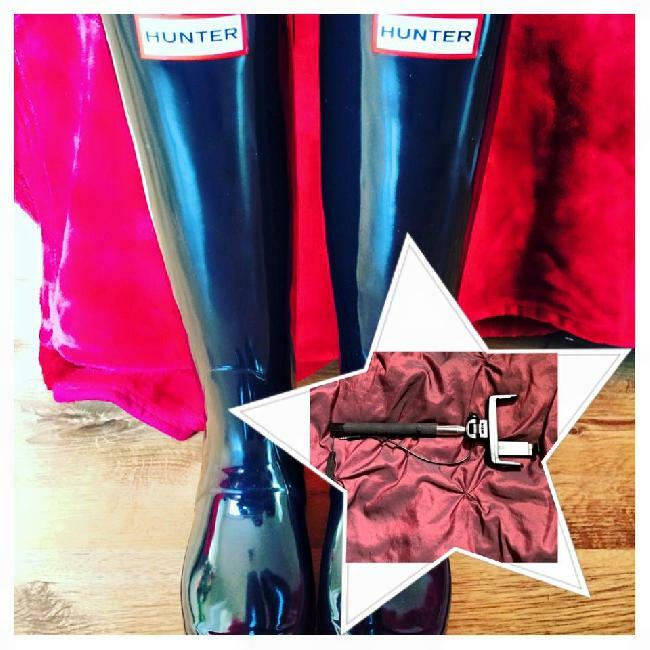 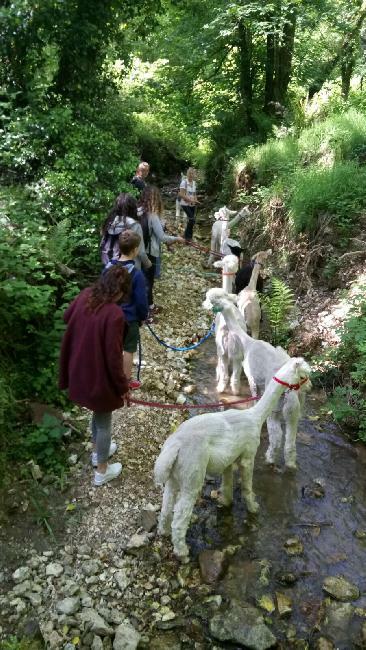 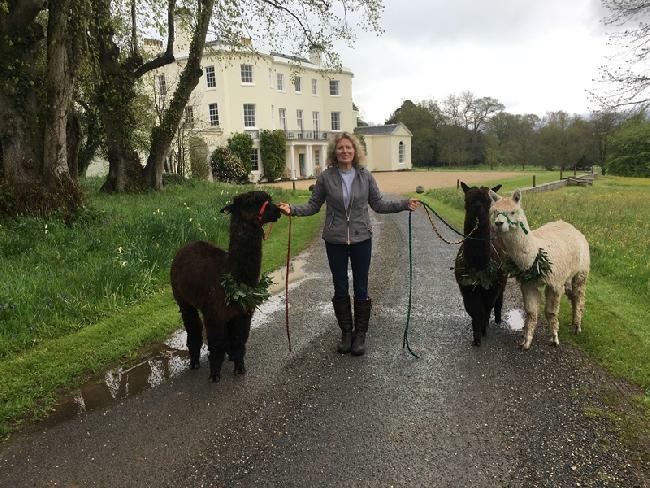 Posted by a recent trekker - Alpaca Trekking Essentials - Wellies and a Selfie Stick! 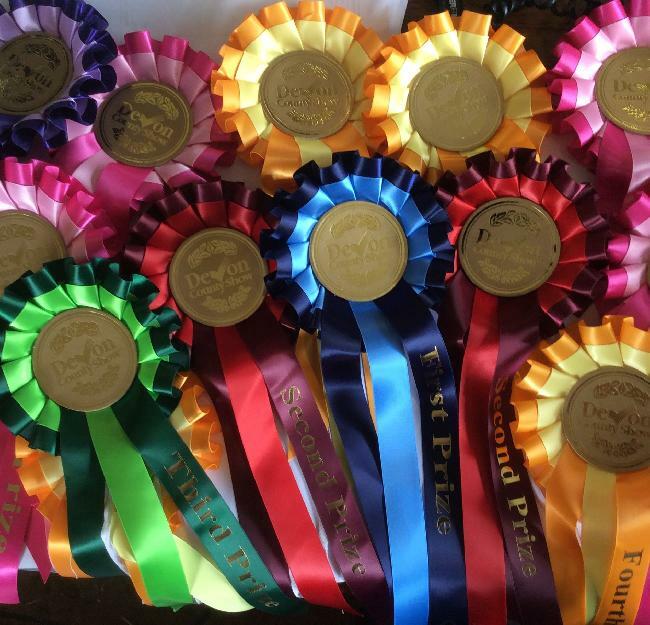 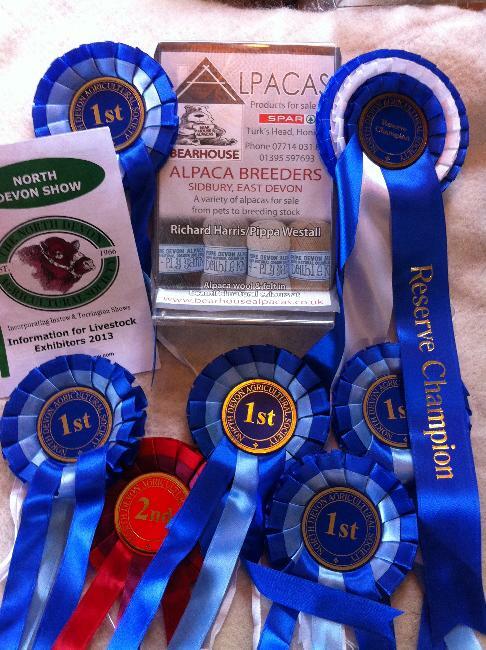 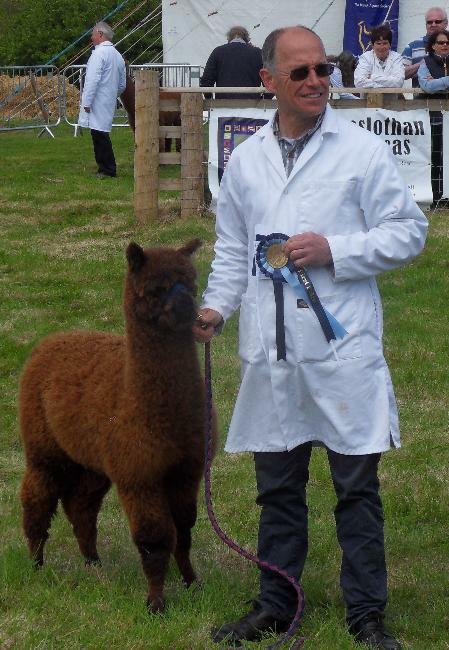 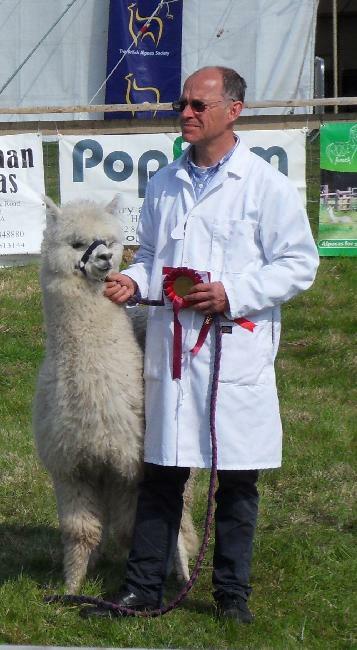 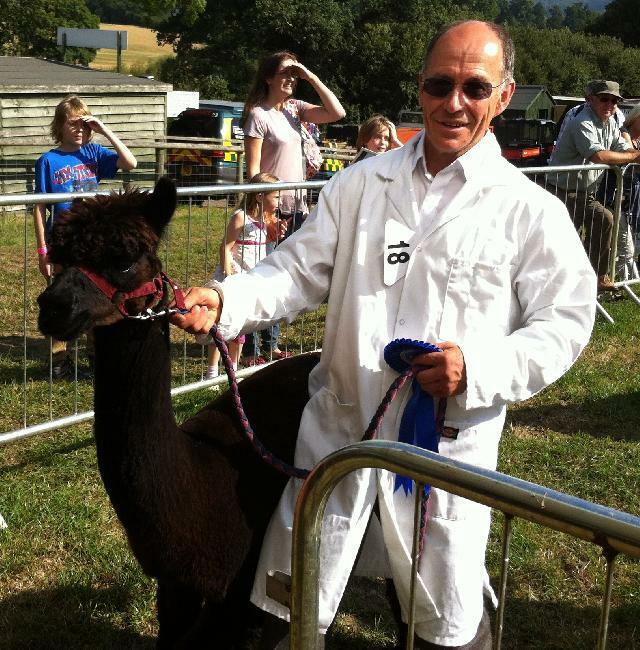 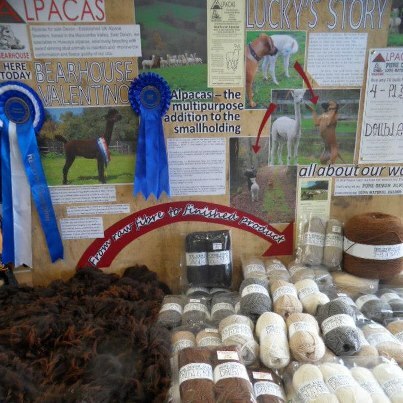 North Devon Show - 7th August 2013 - Five first prizes, Reserve Champion and one second prize! 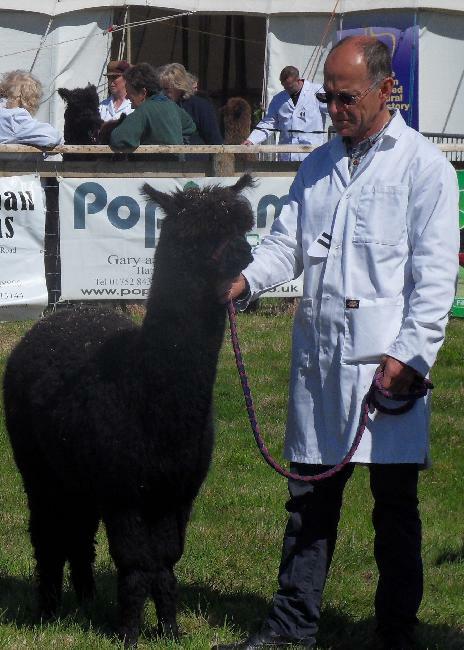 Dreamfield King Louis of Bearhouse is available for stud service. 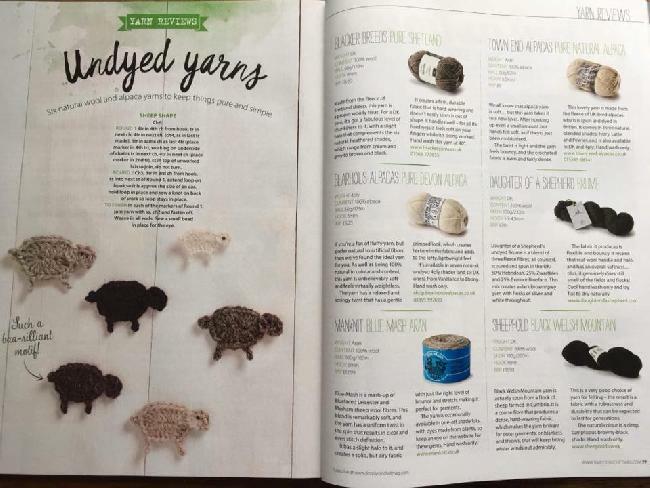 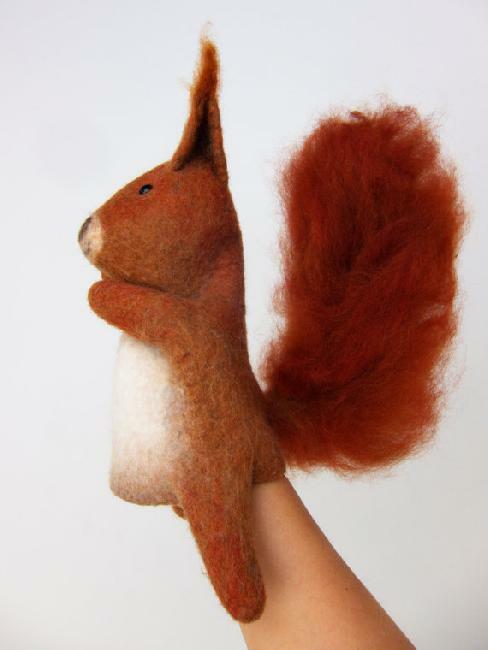 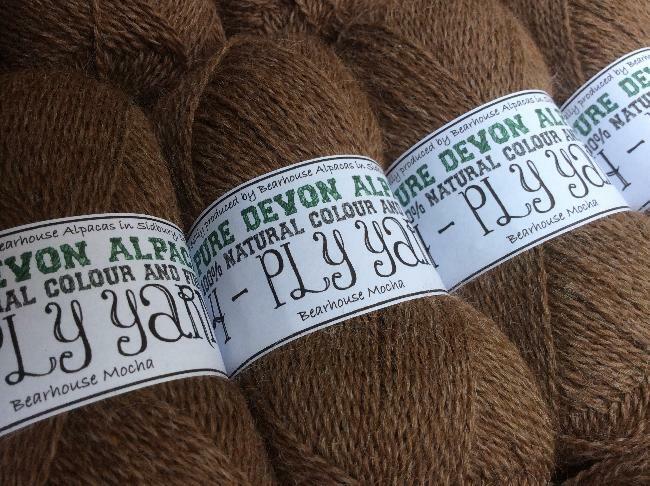 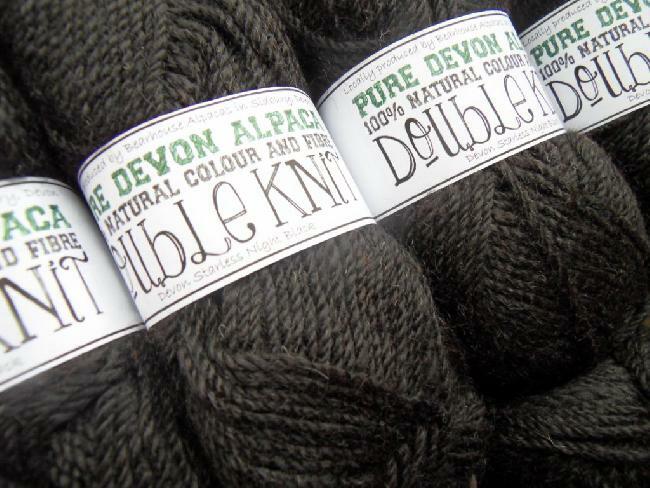 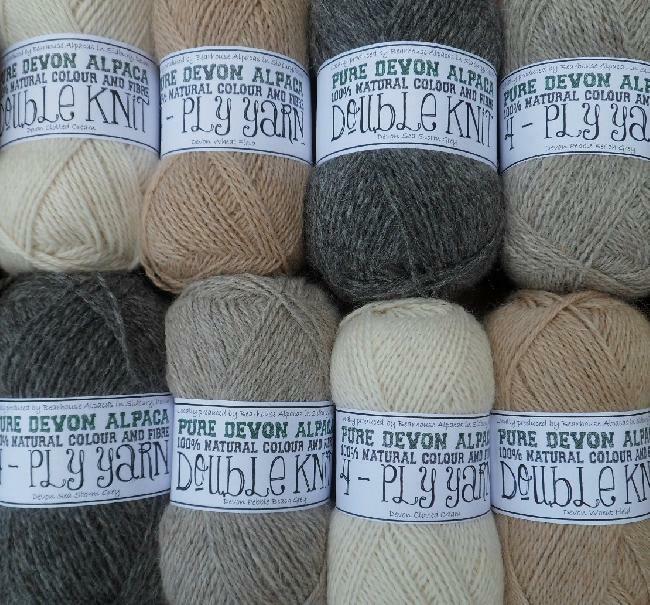 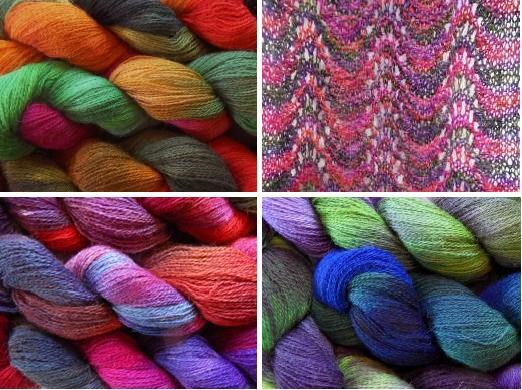 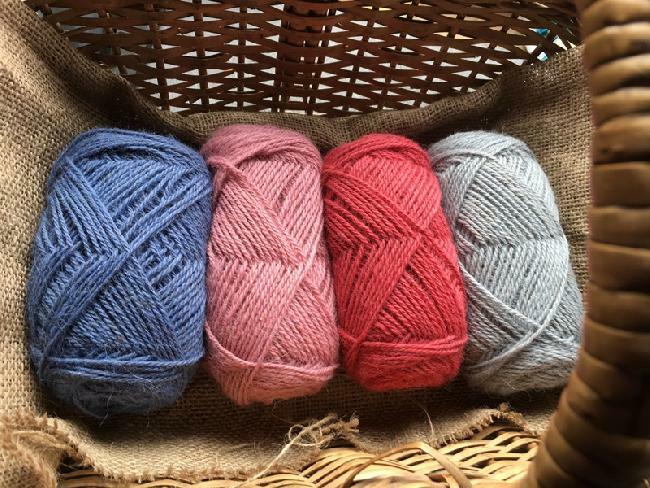 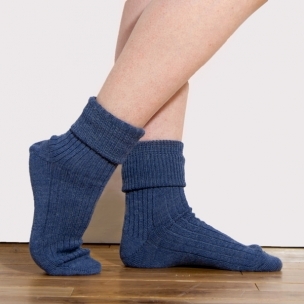 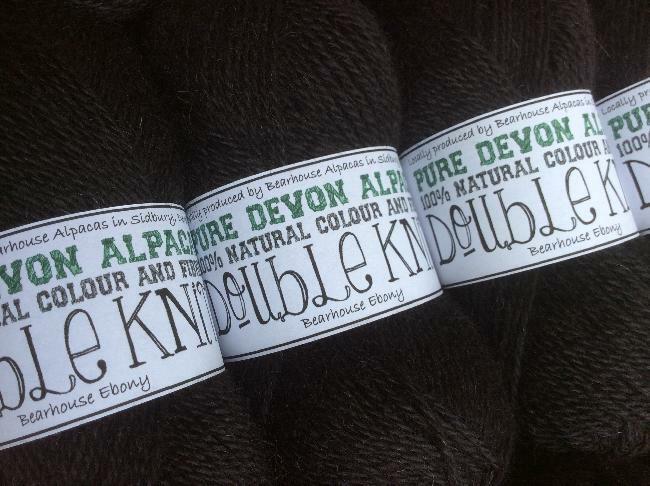 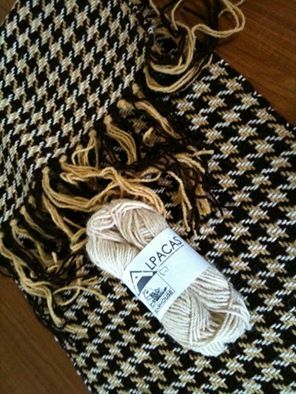 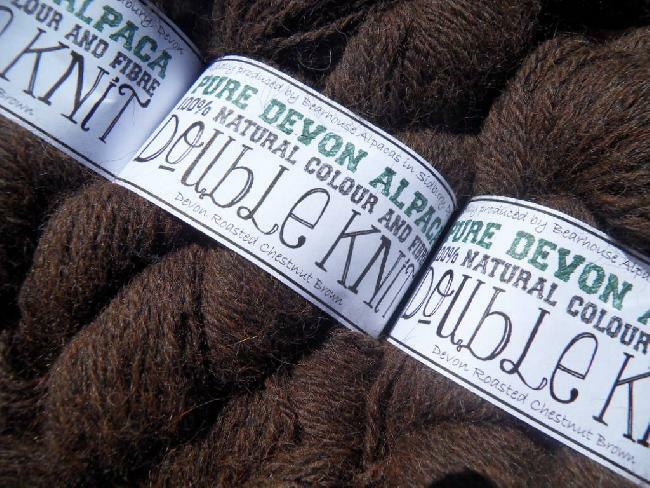 Devon Roasted Chestnut Brown 100 gm skein pure alpaca double knit for sale on our online shop.